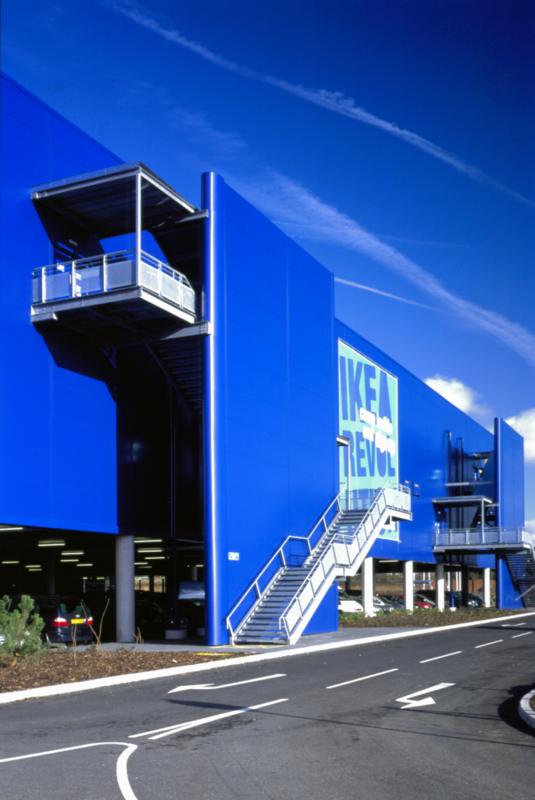 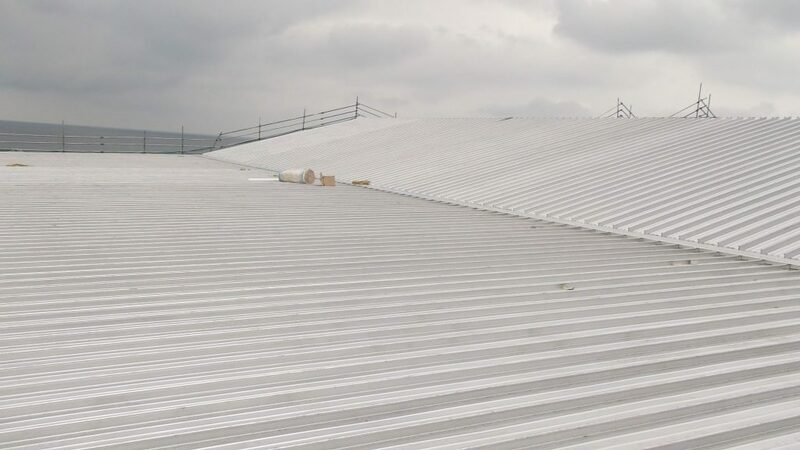 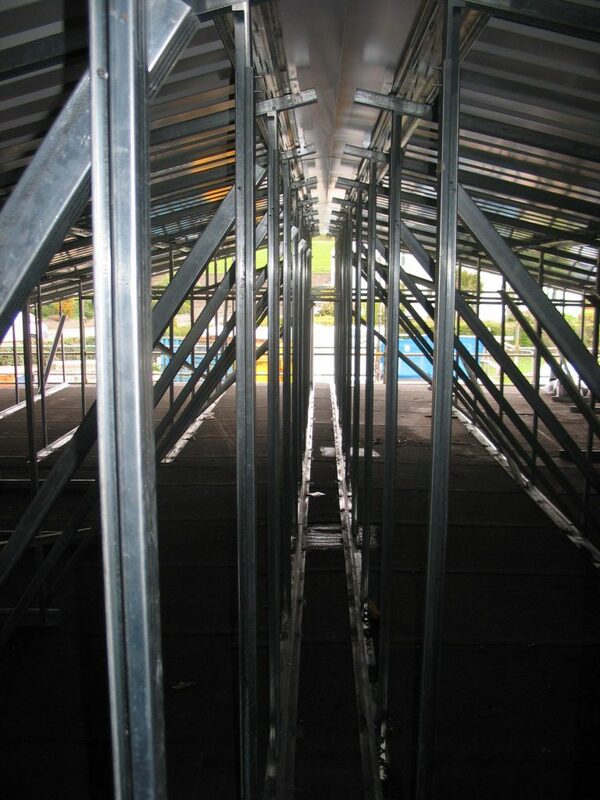 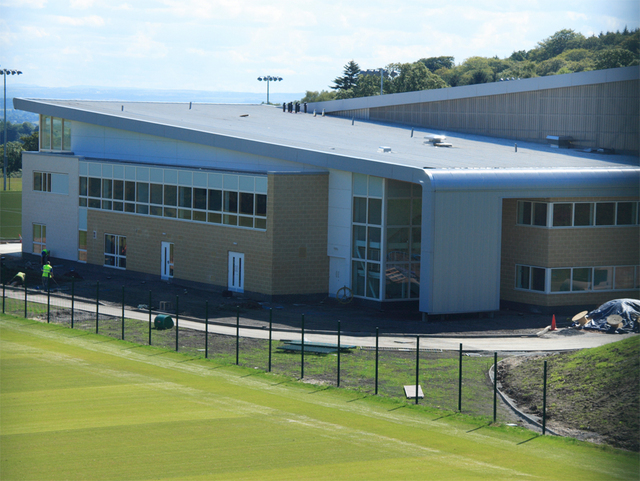 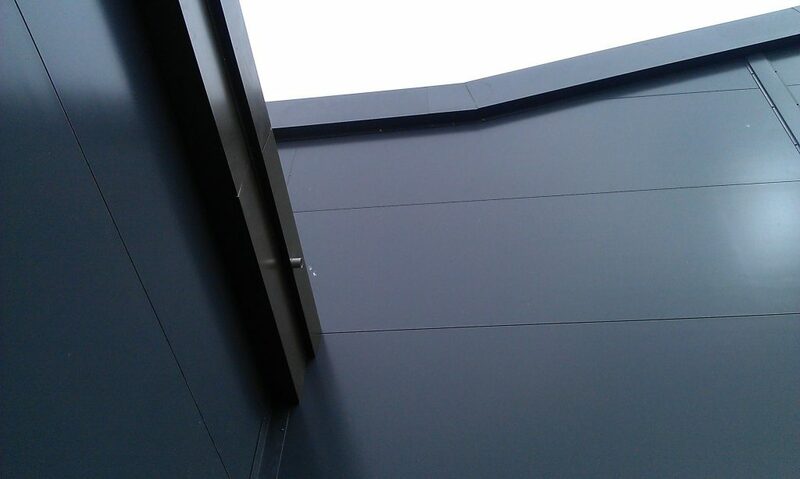 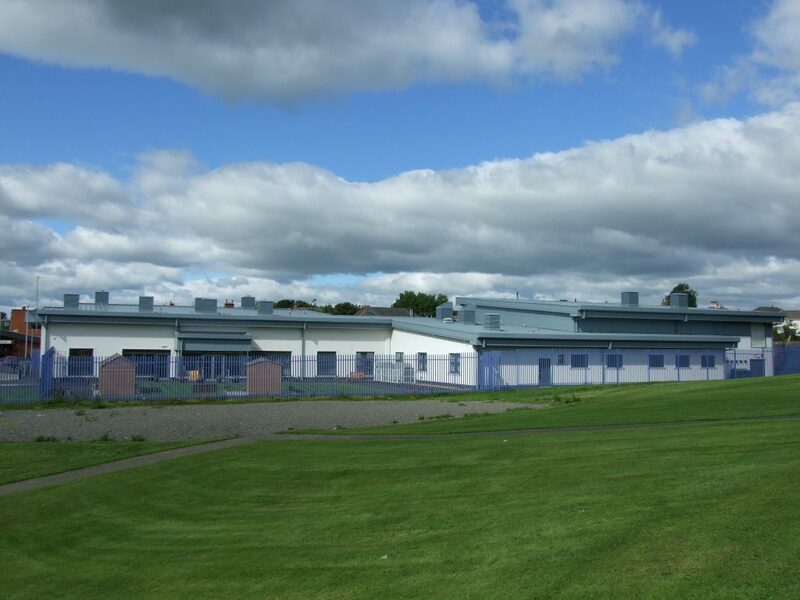 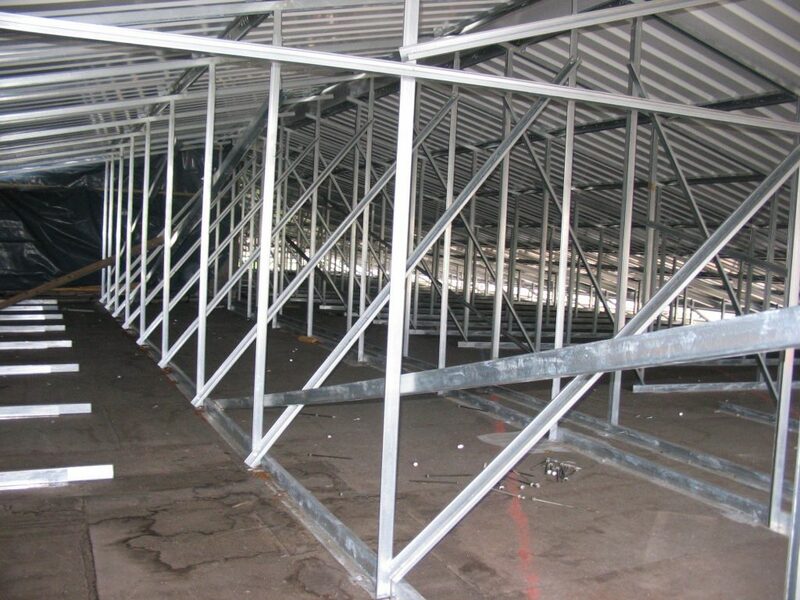 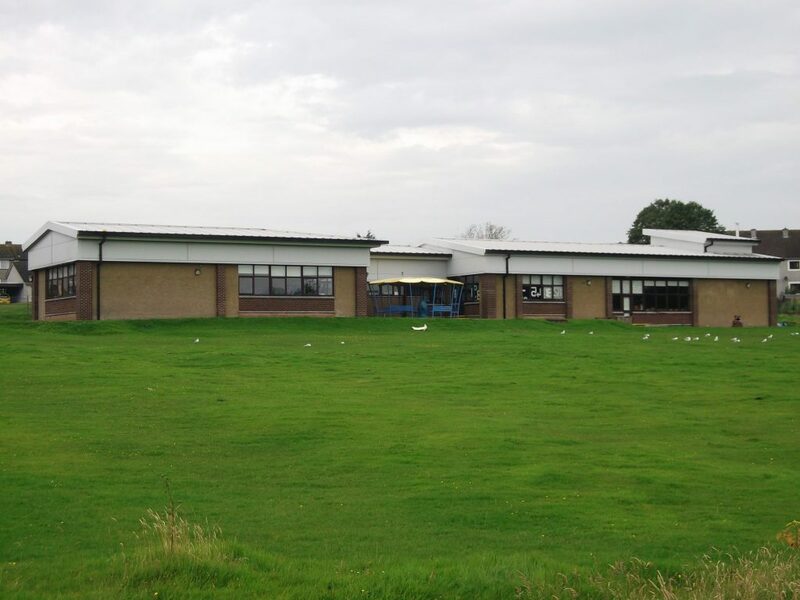 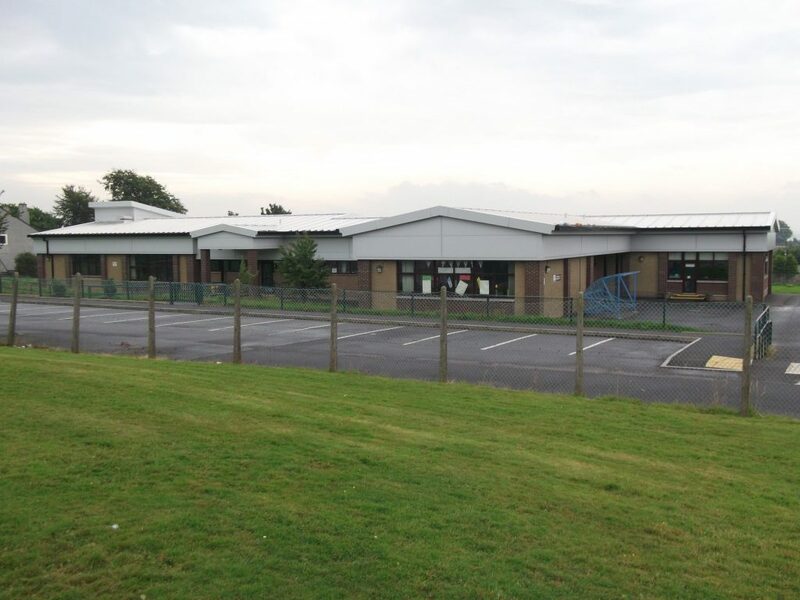 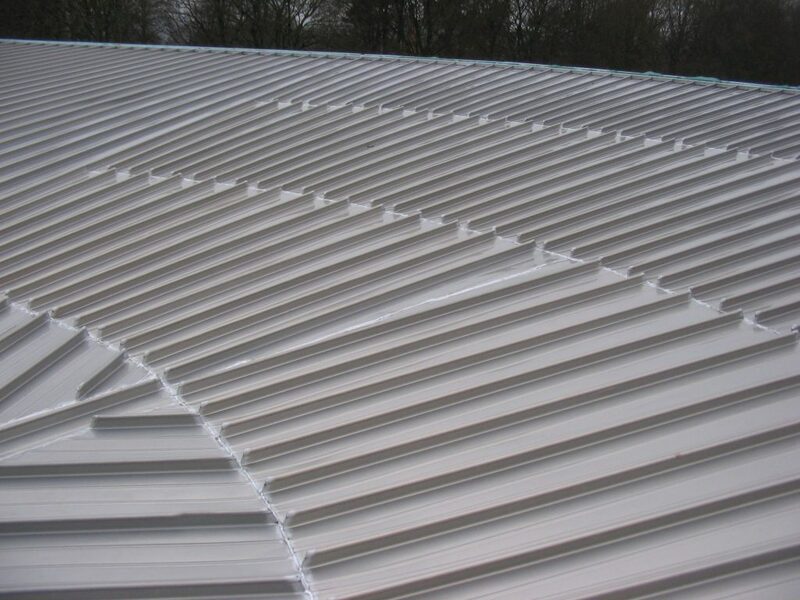 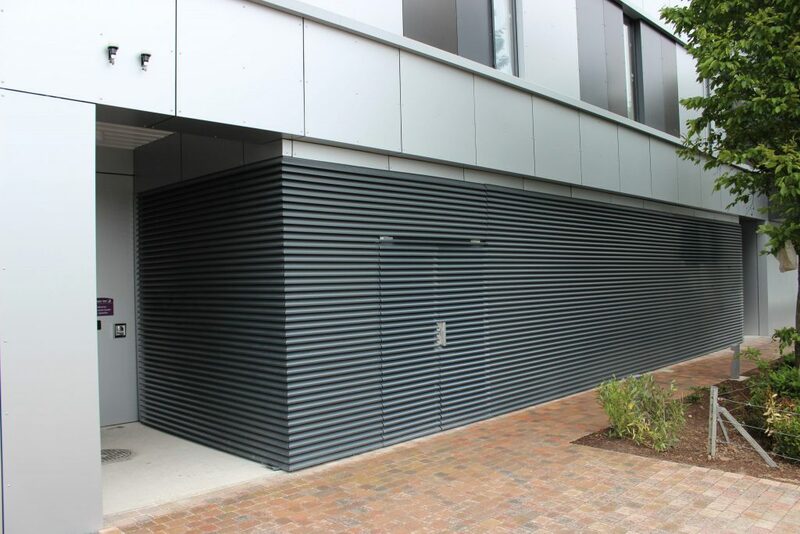 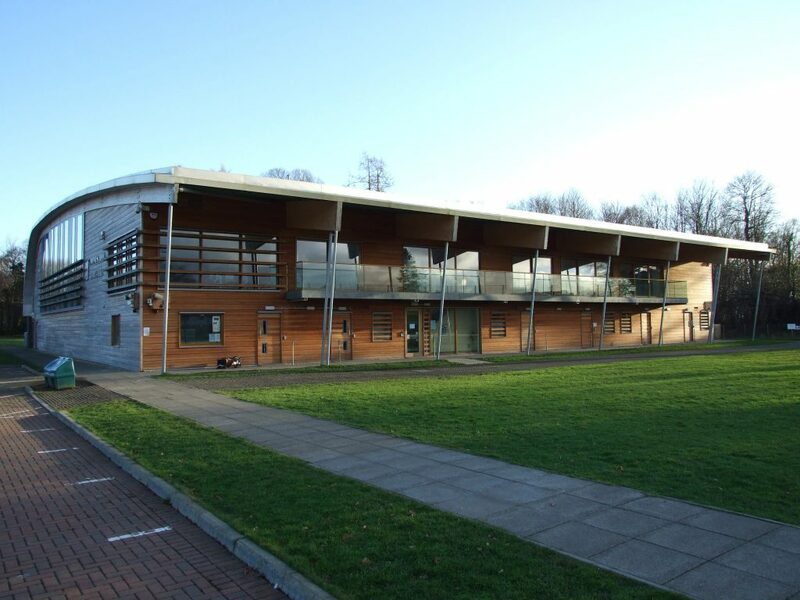 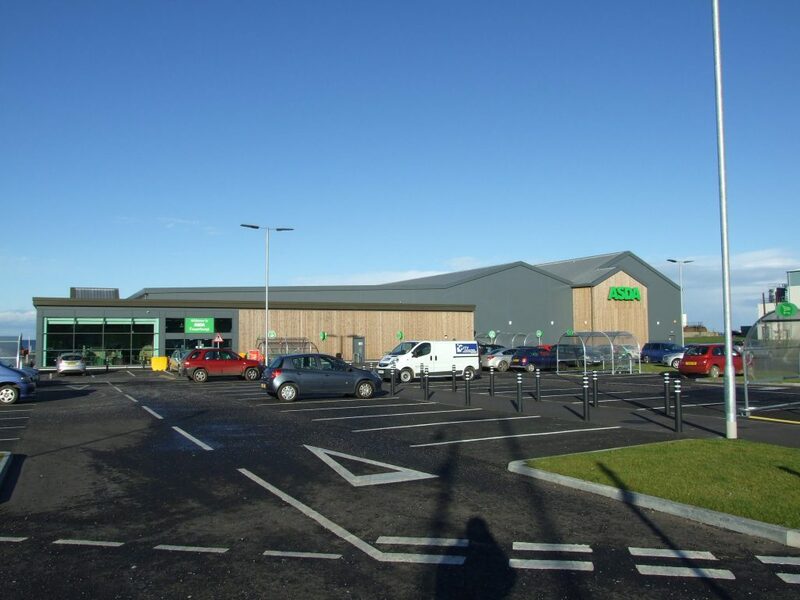 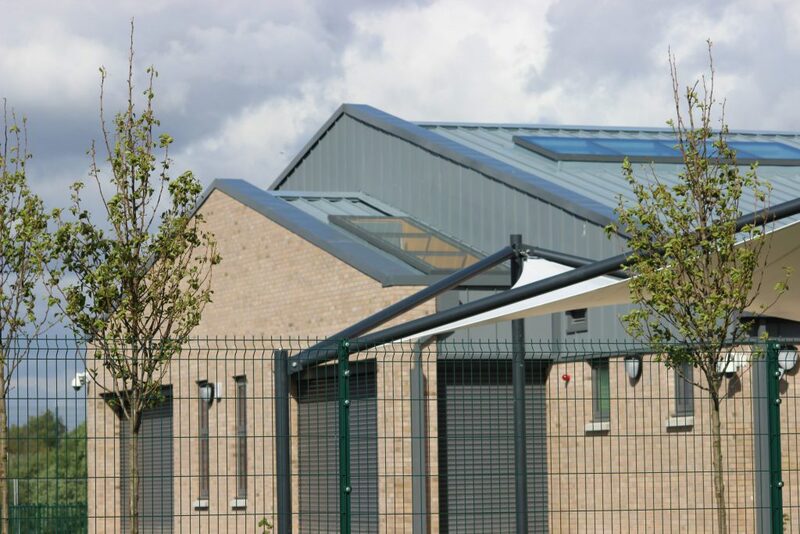 The importance of effective perimeter detailing is often overlooked, when it is in fact as critical as the roof and wall cladding system itself. 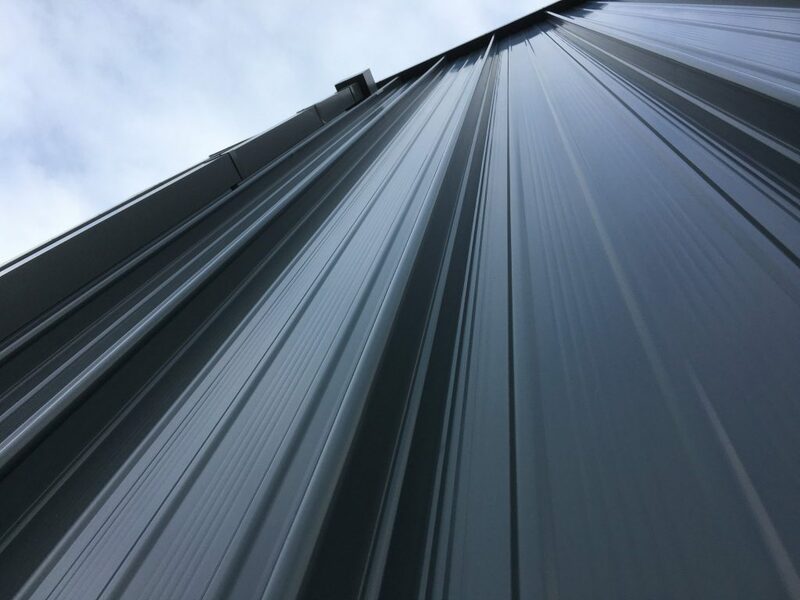 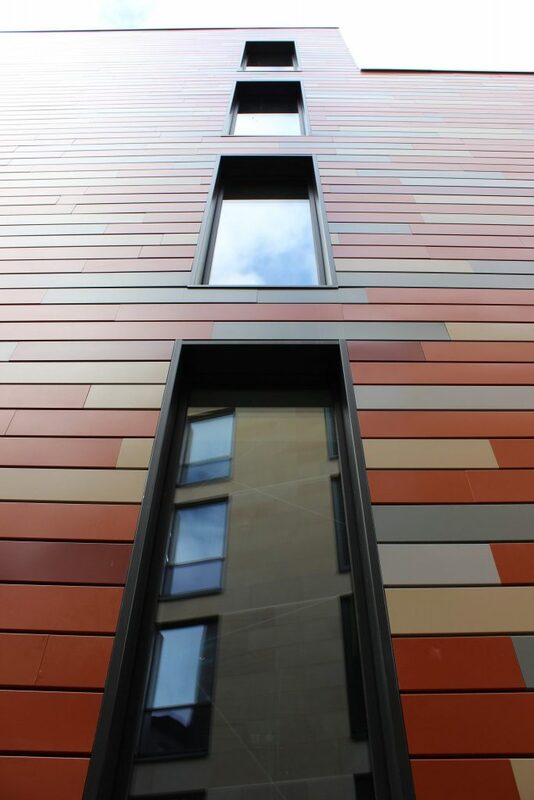 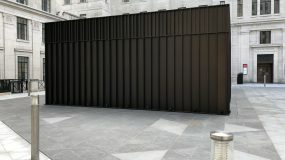 Well designed and installed details can have a major impact on the overall performance of a building and can significantly improve the aesthetic properties both on a short and long-term basis. 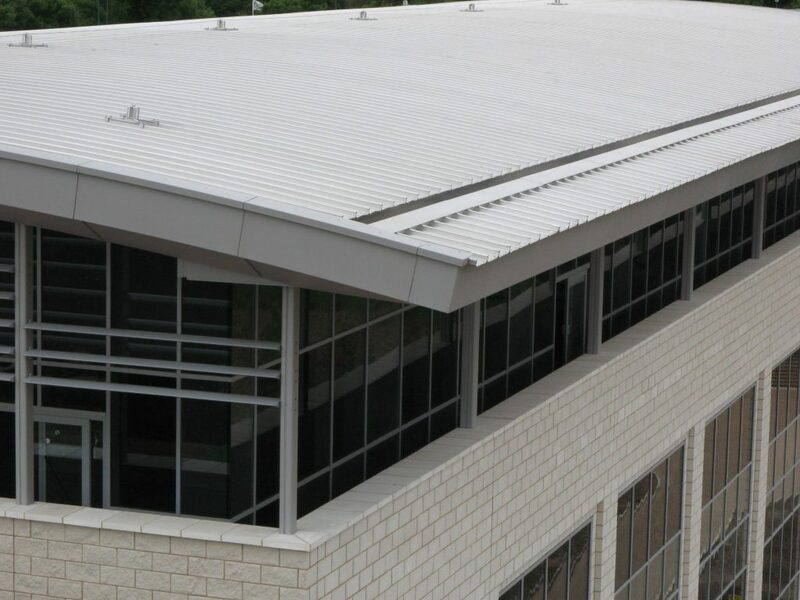 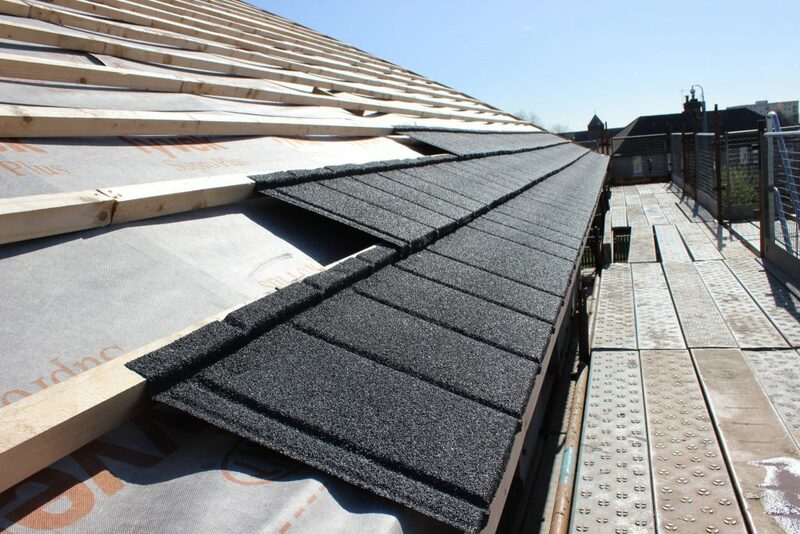 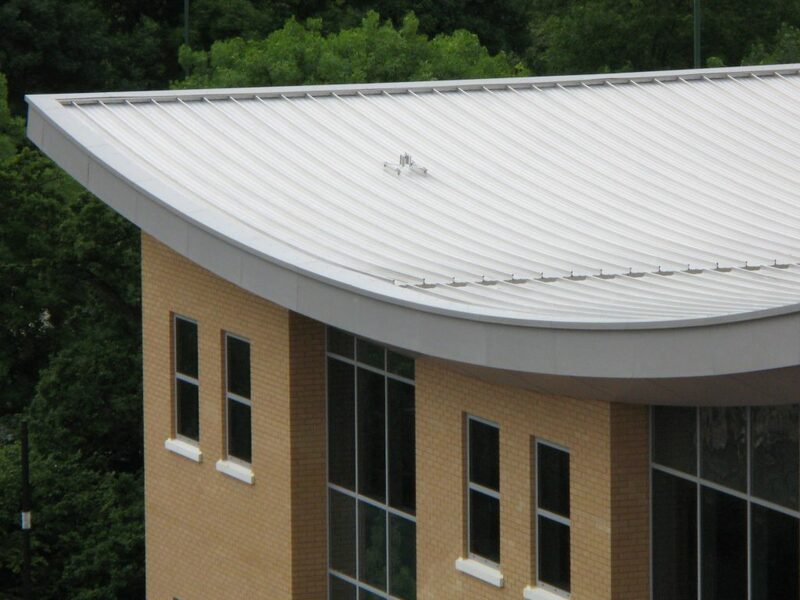 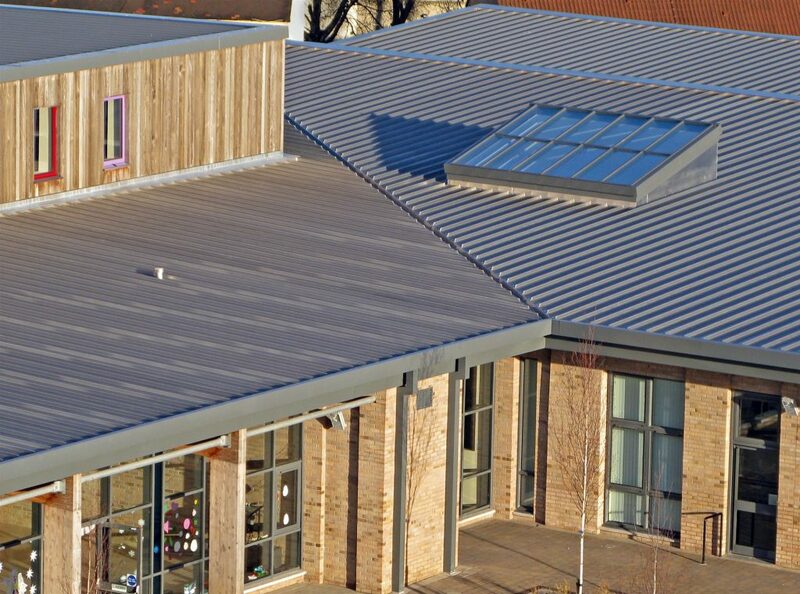 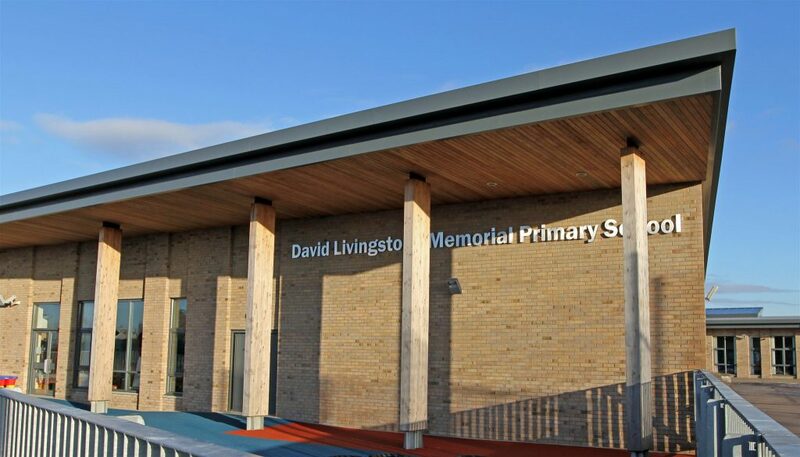 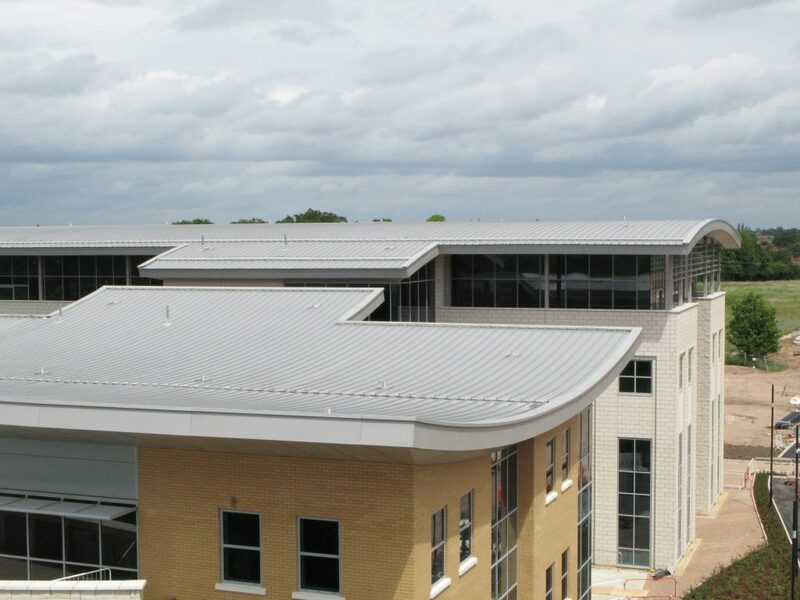 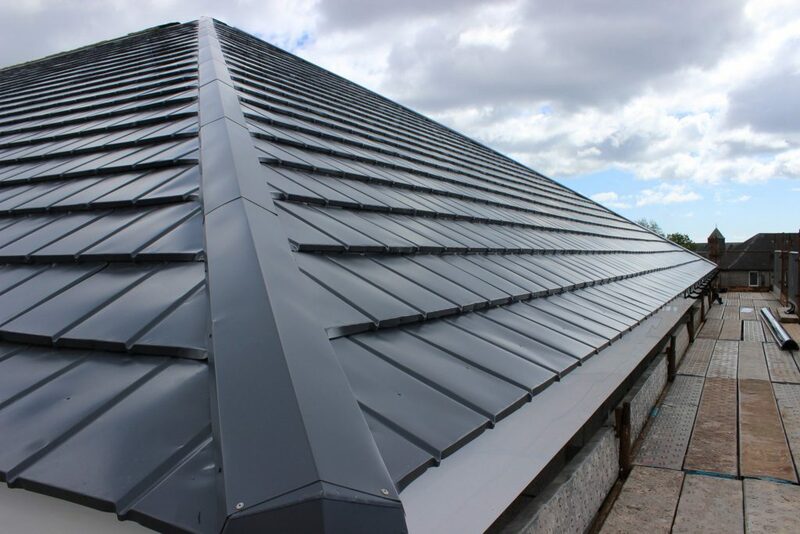 By incorporating other high performance Ash & Lacy components into the roofing system, and through the careful consideration of design interface issues compatibility is ensured between the individual components. 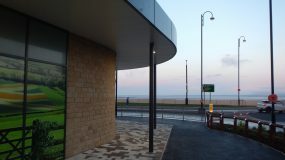 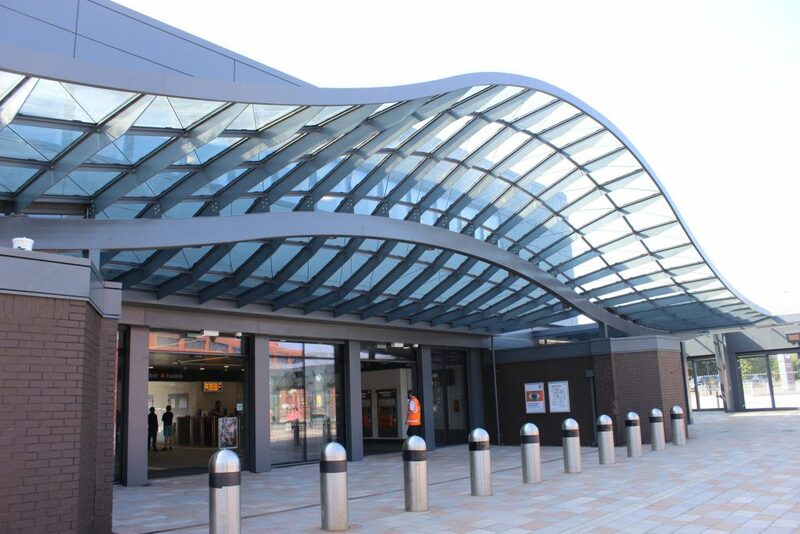 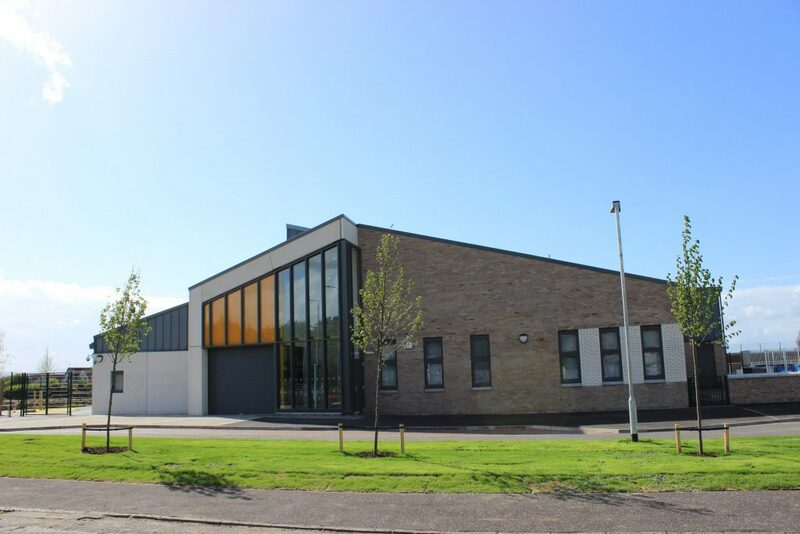 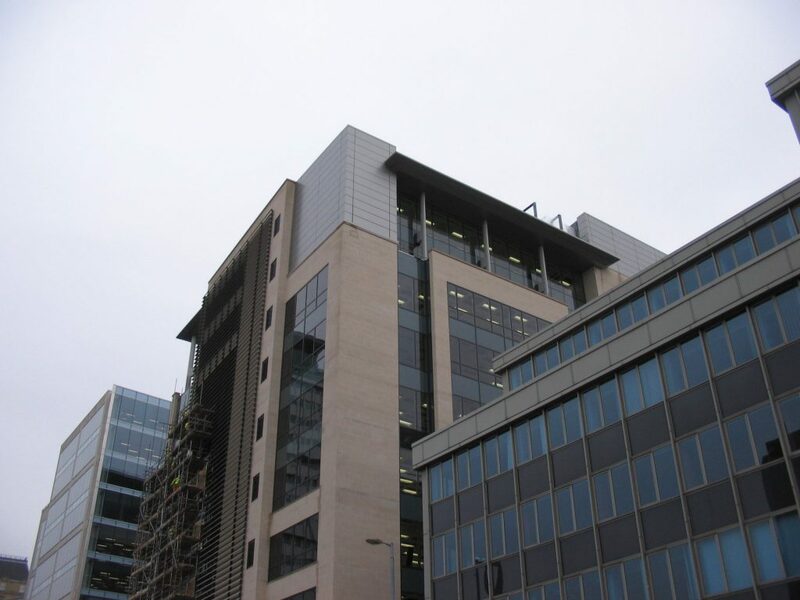 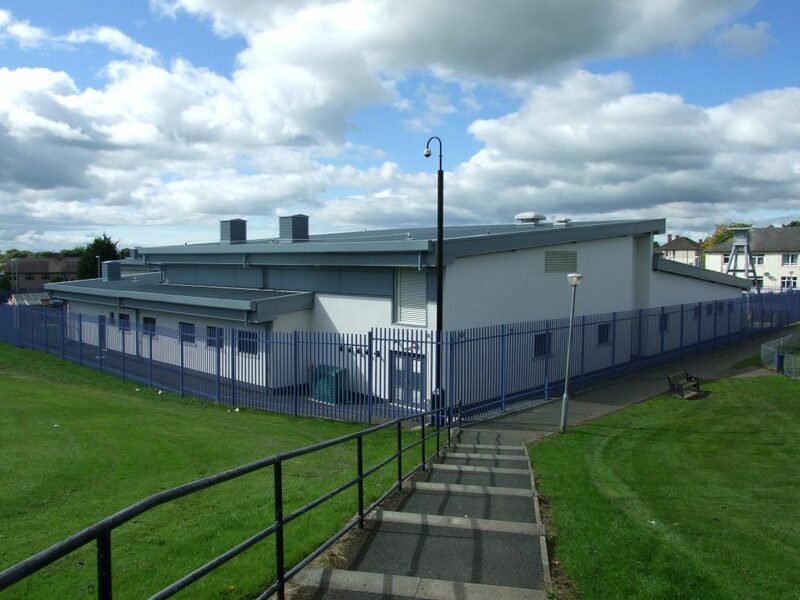 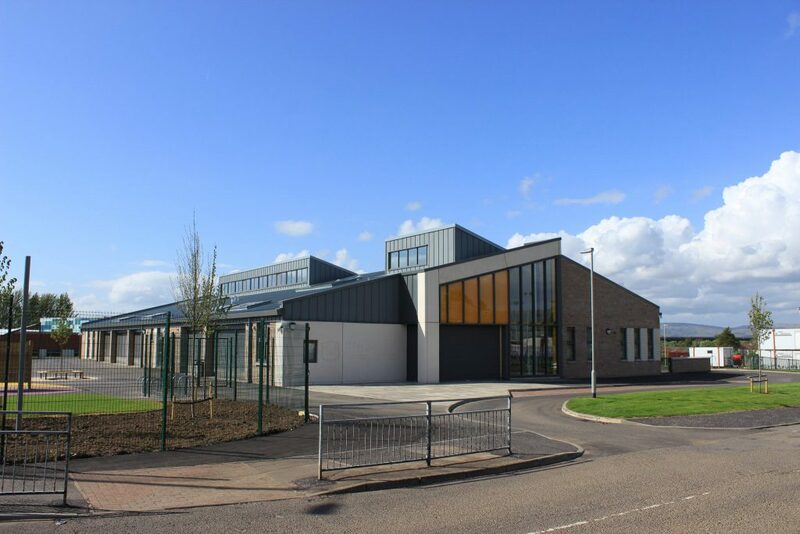 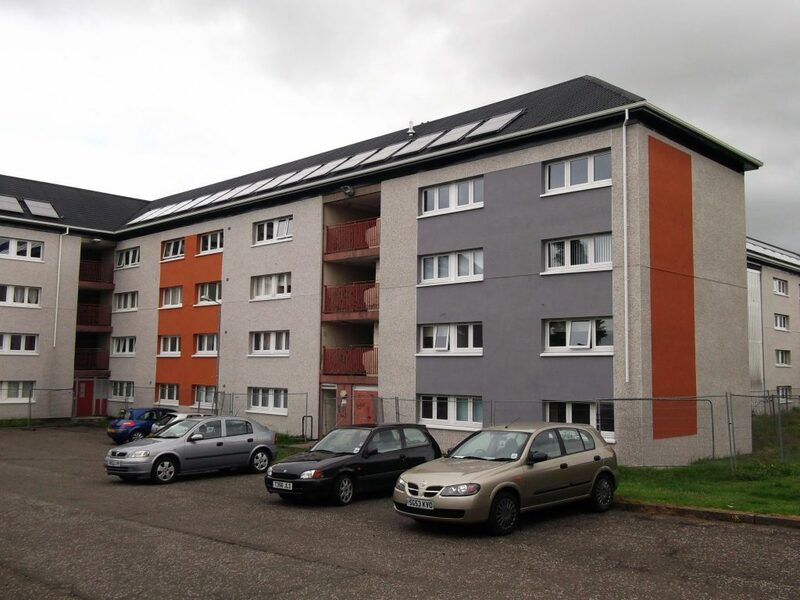 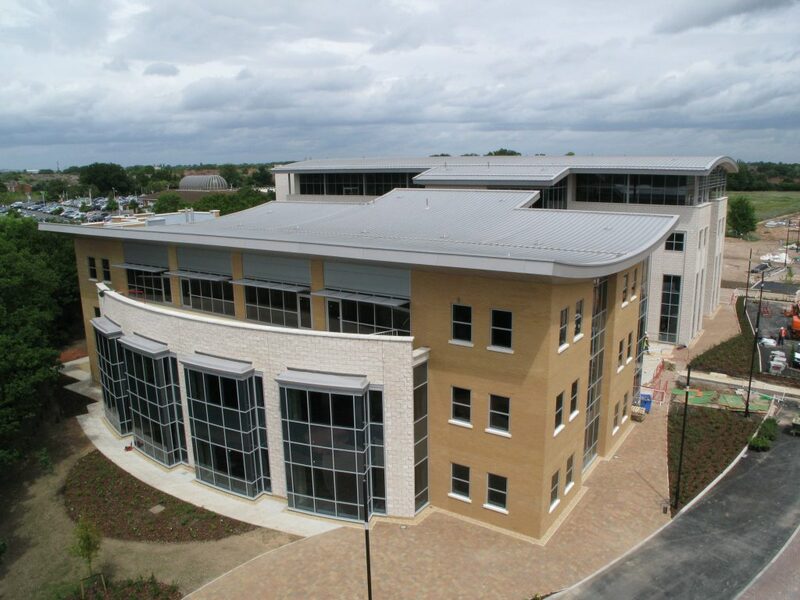 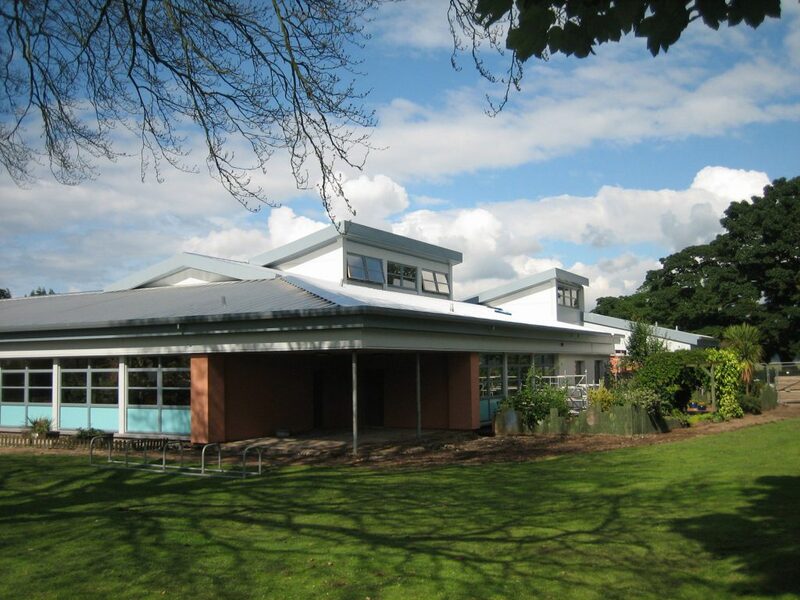 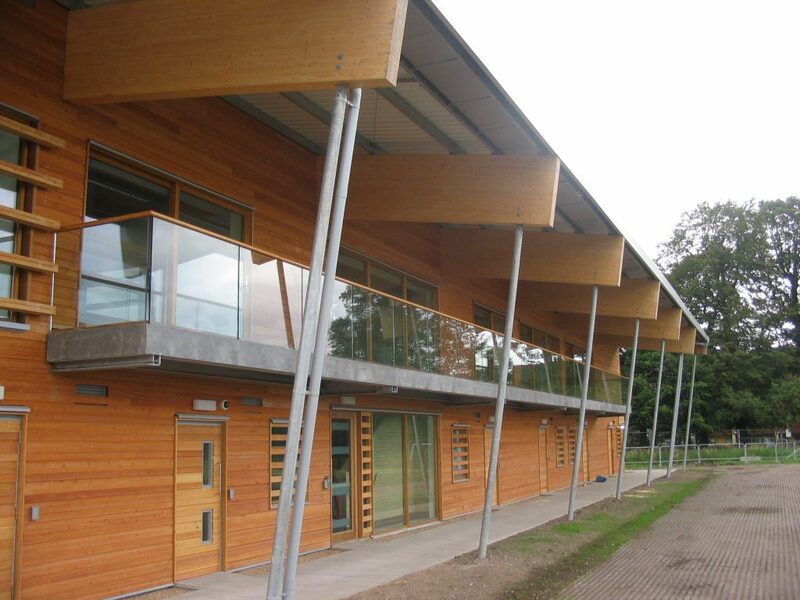 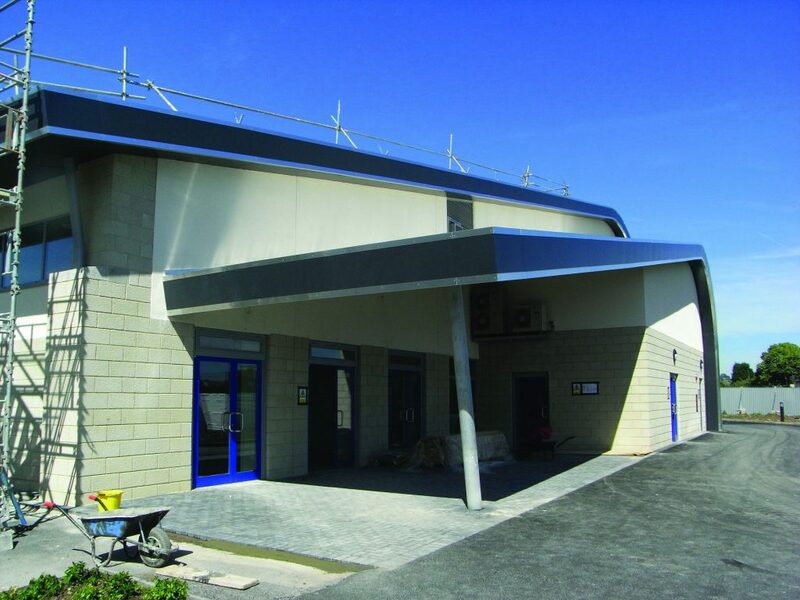 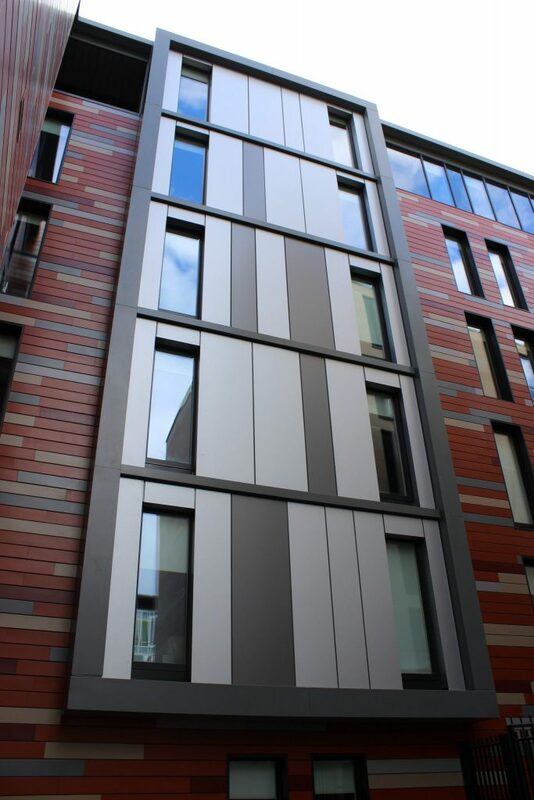 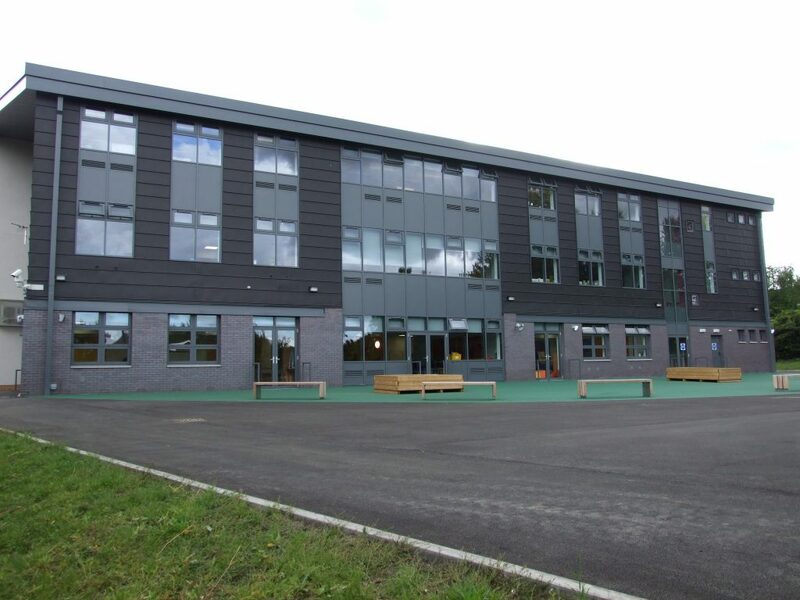 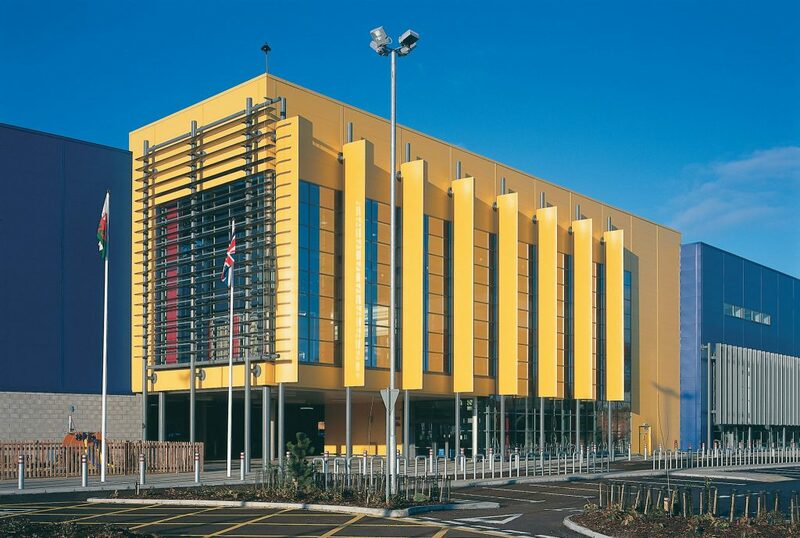 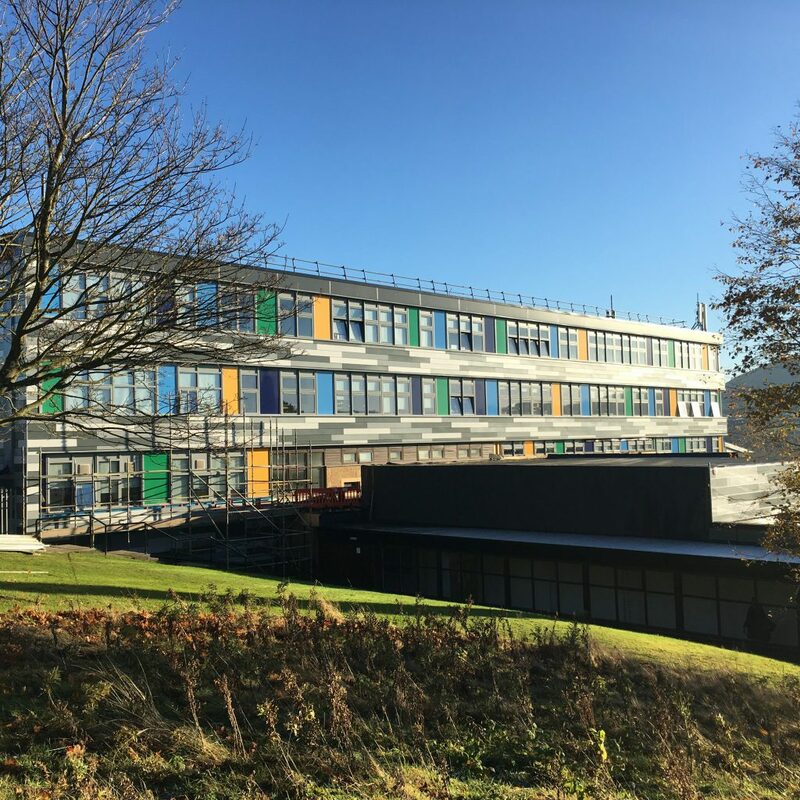 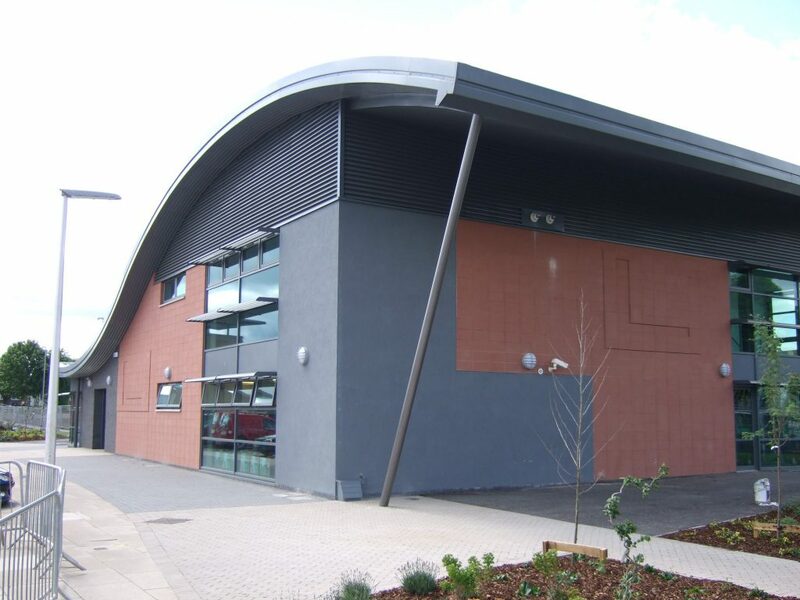 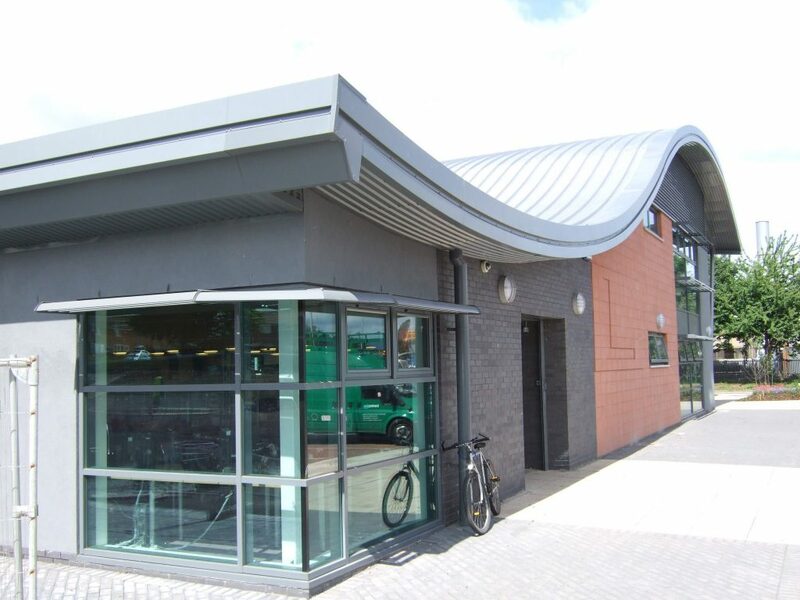 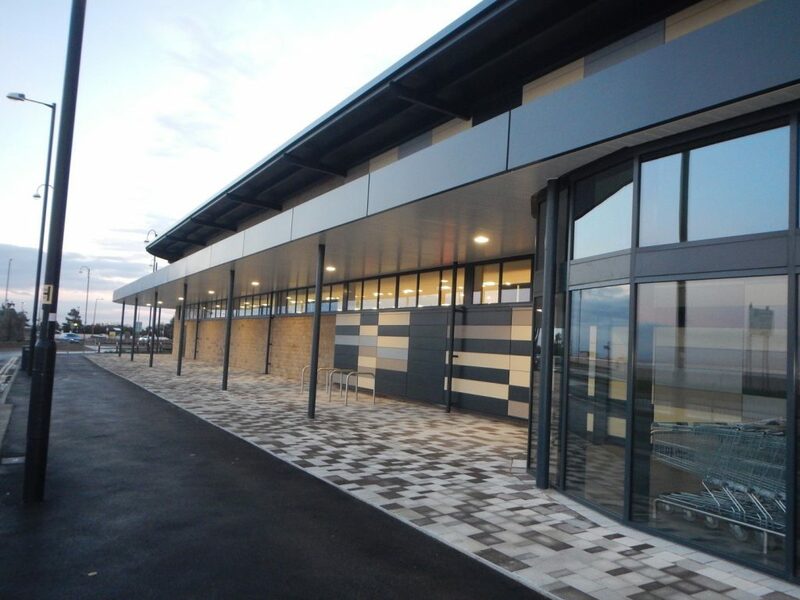 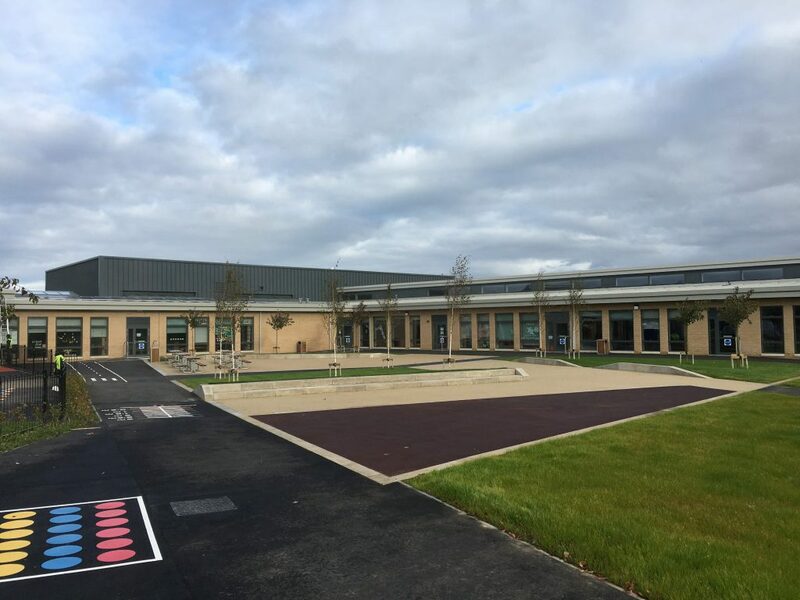 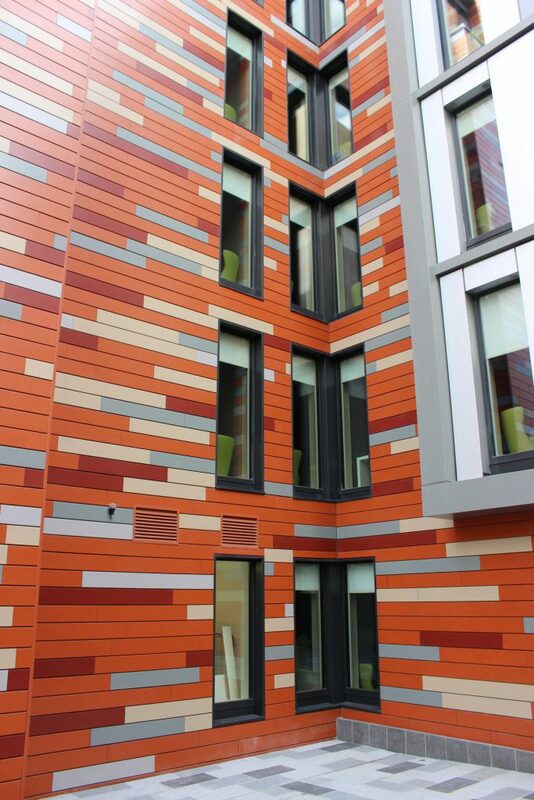 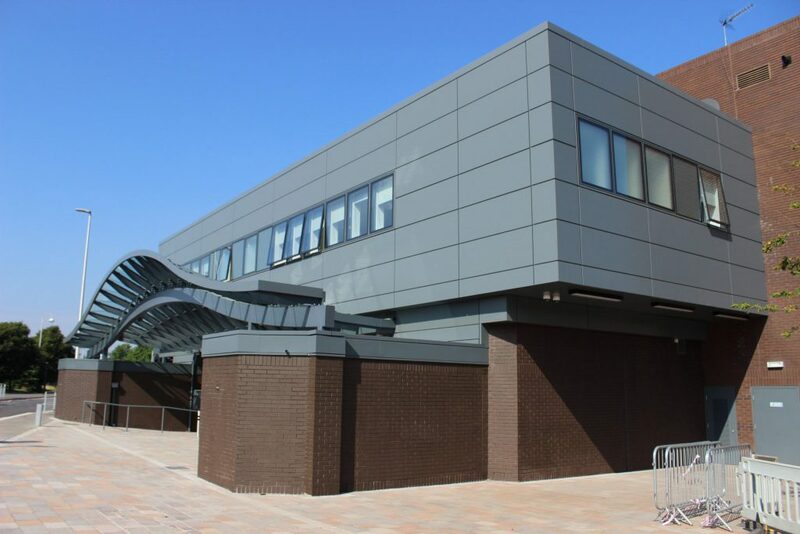 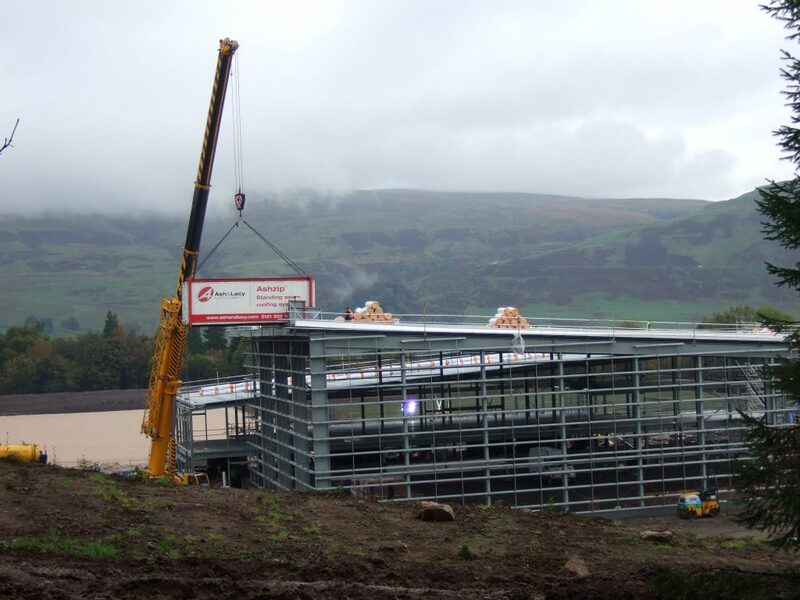 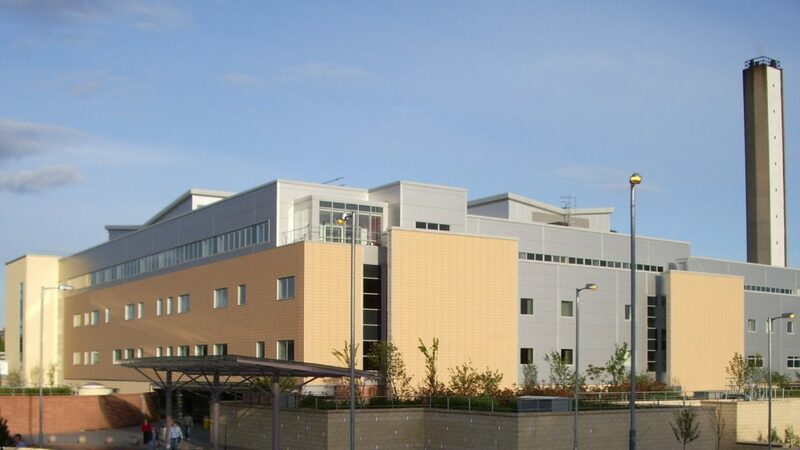 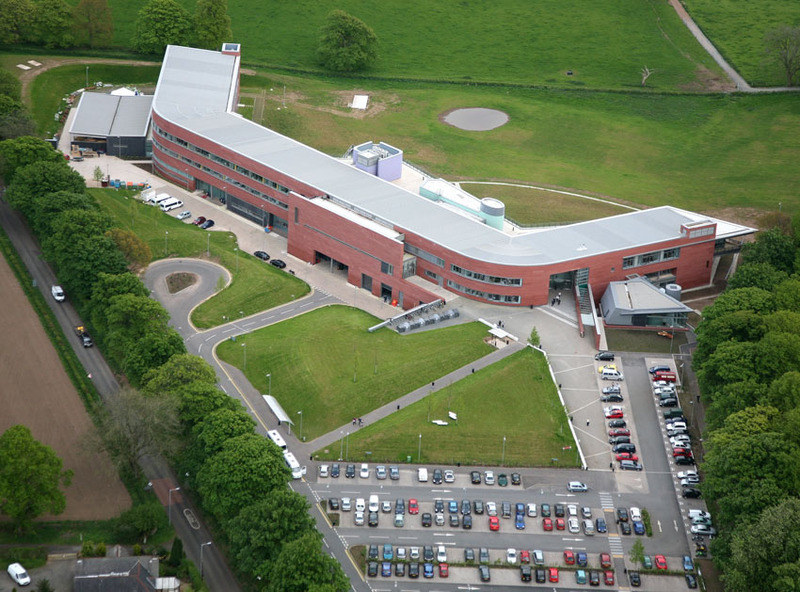 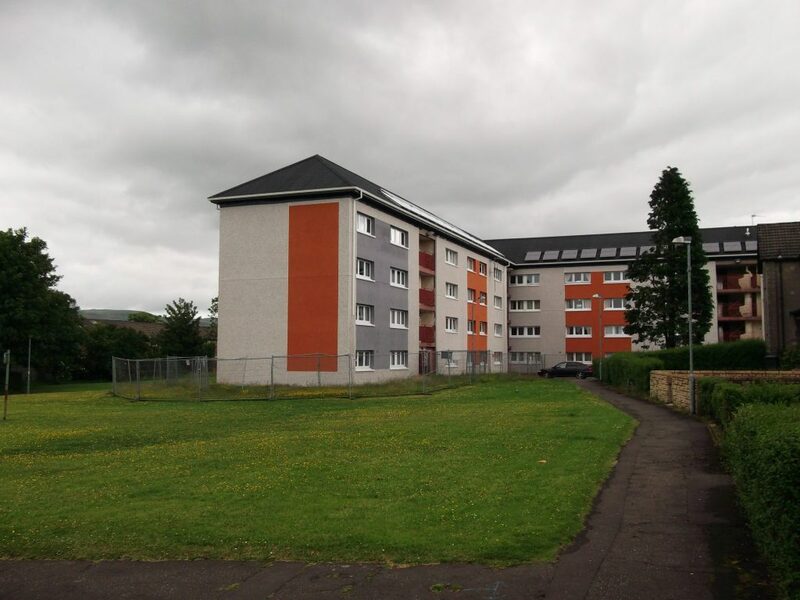 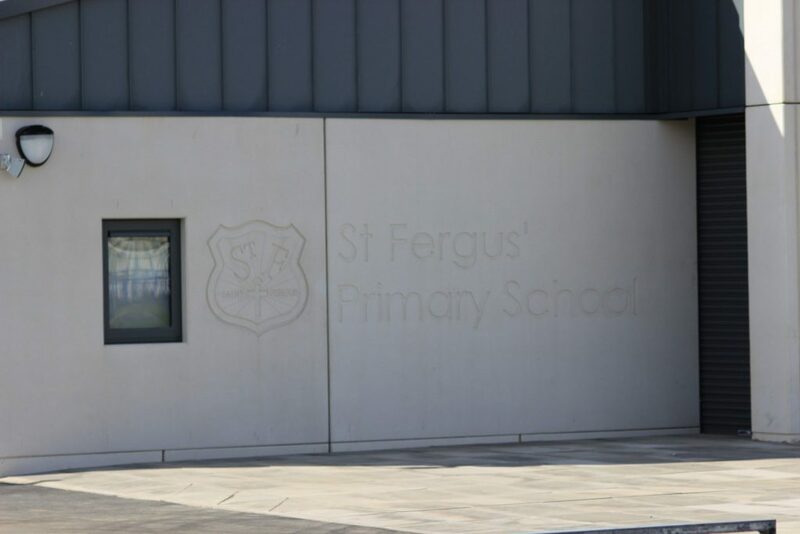 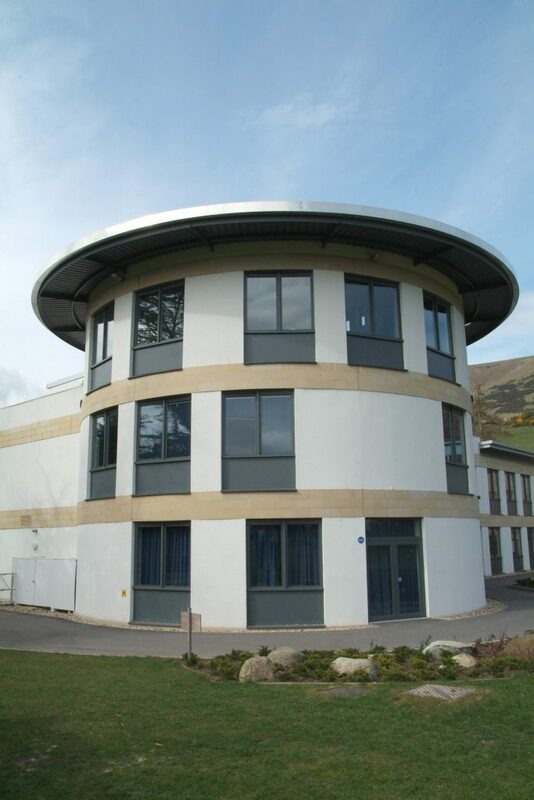 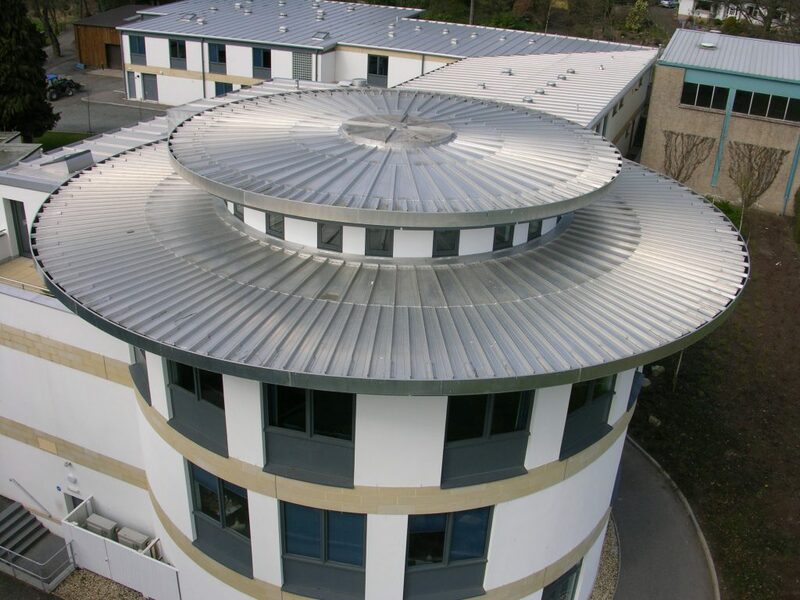 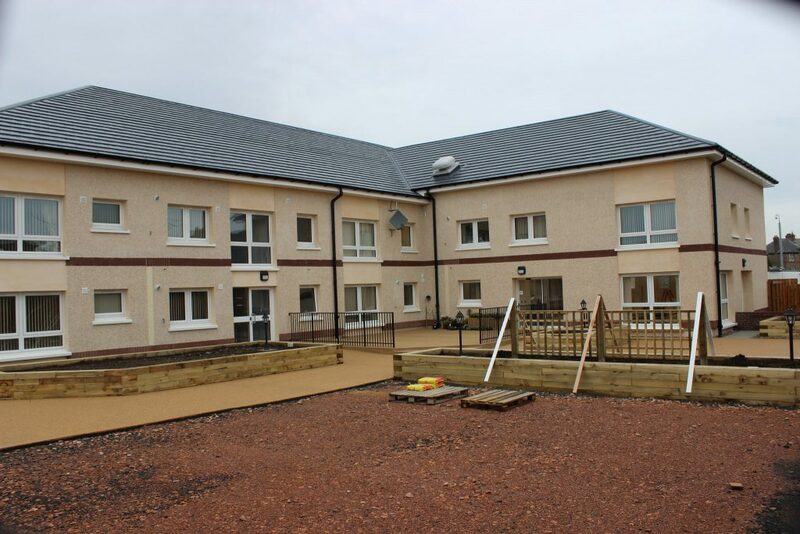 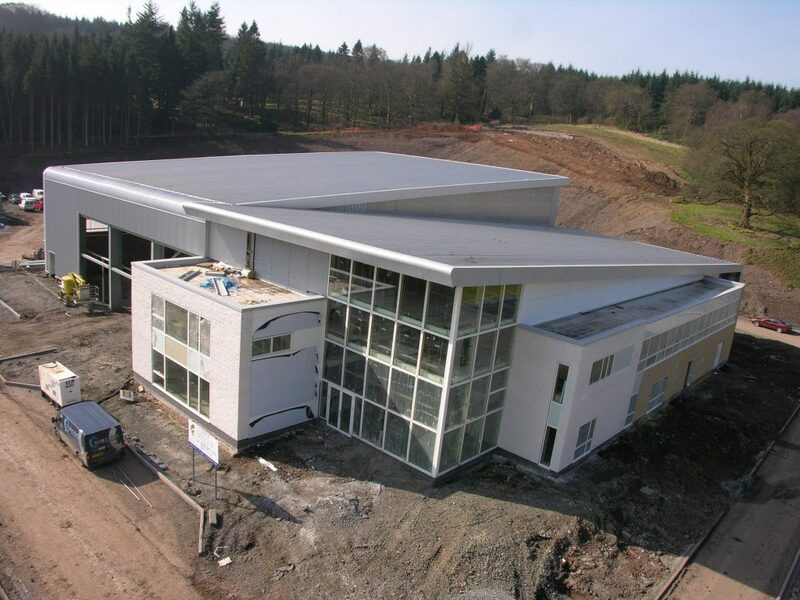 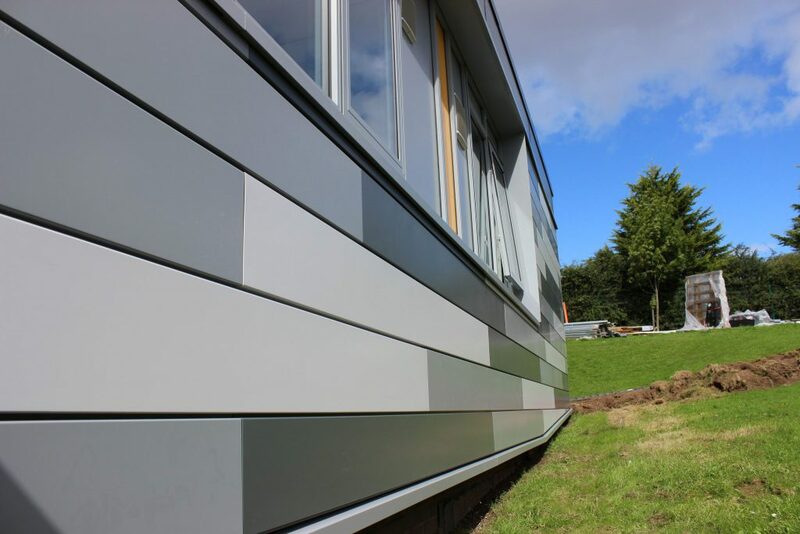 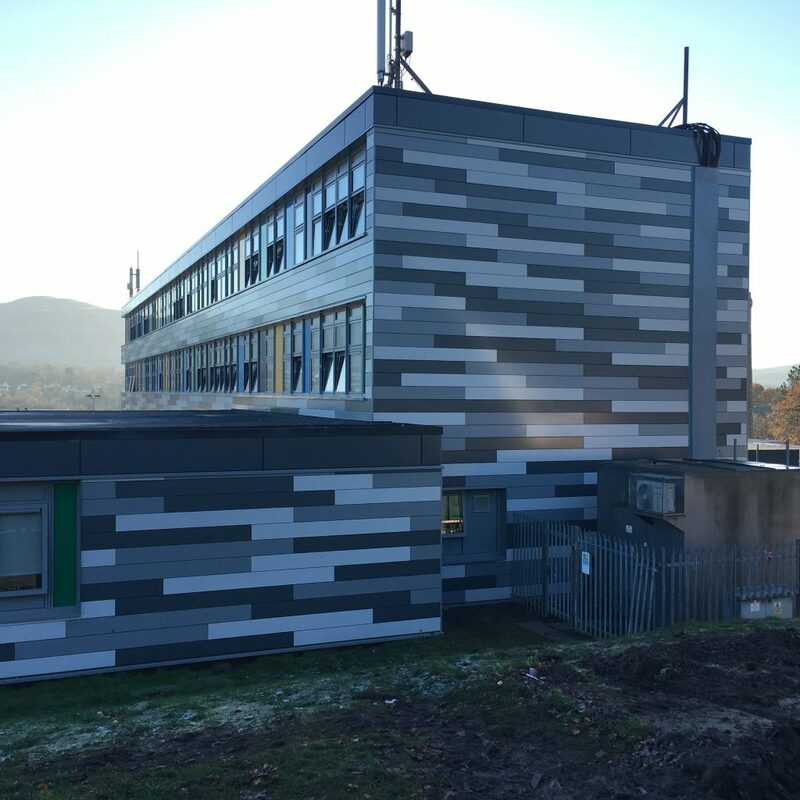 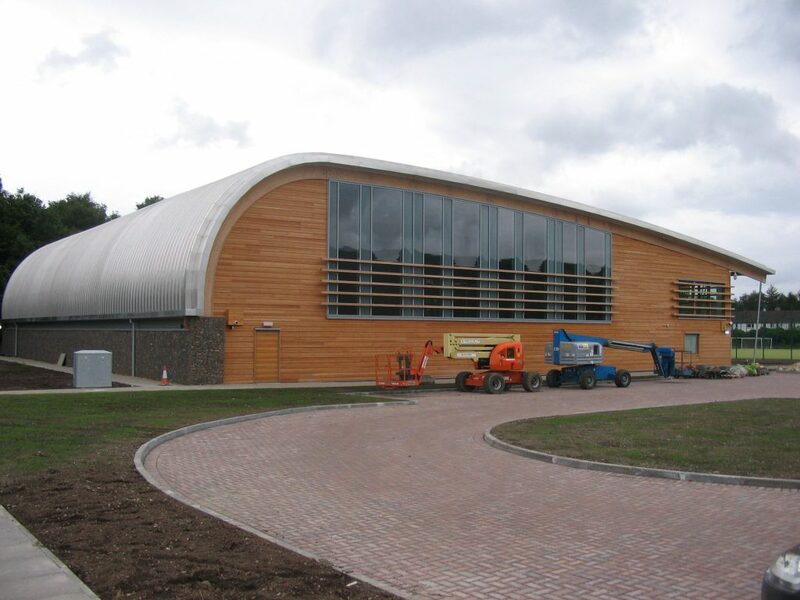 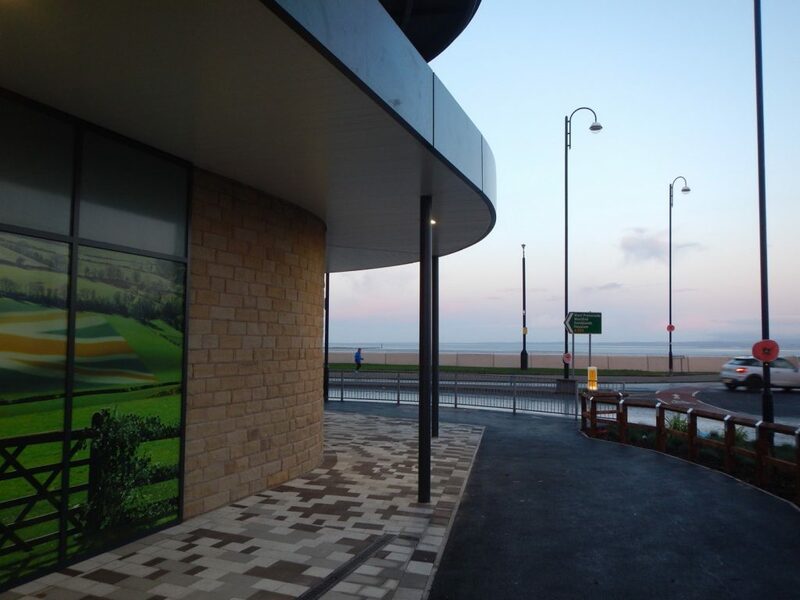 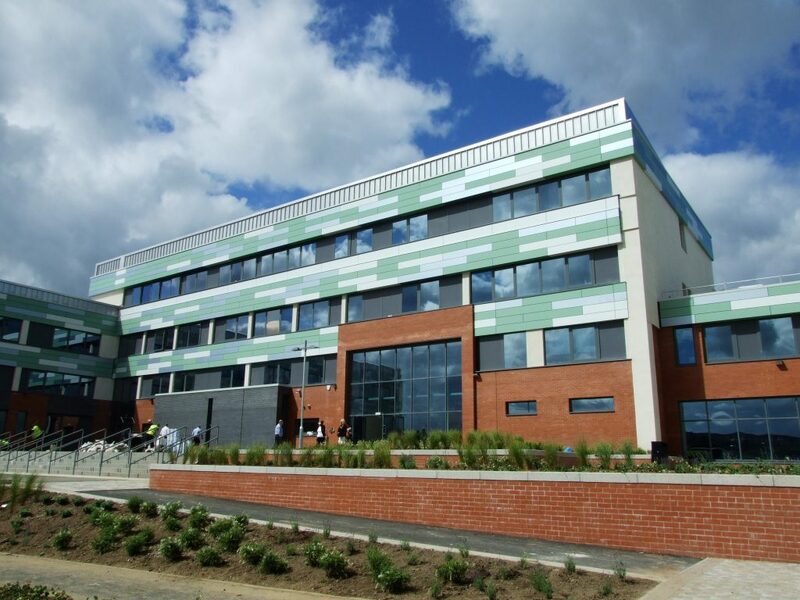 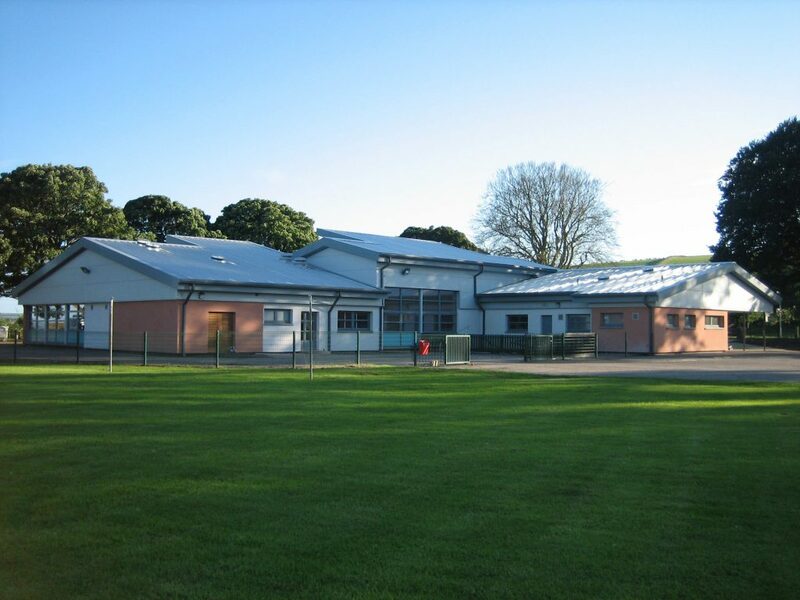 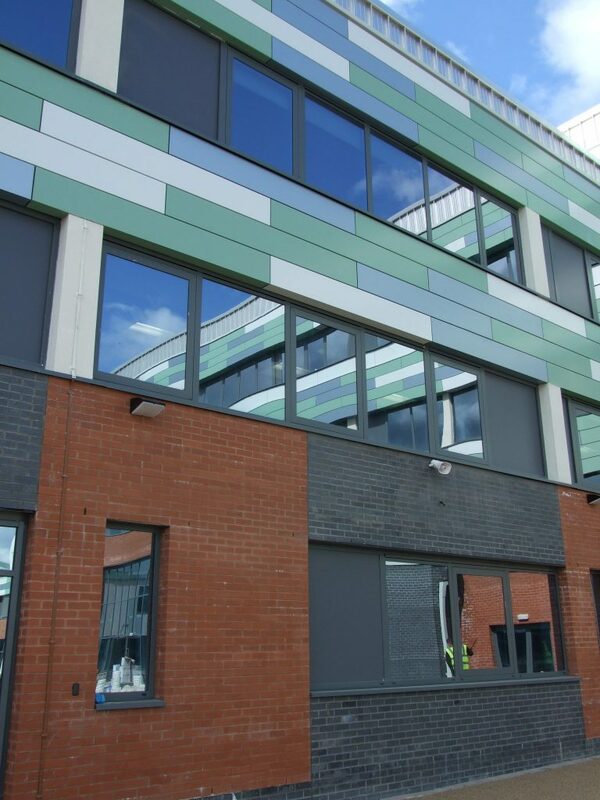 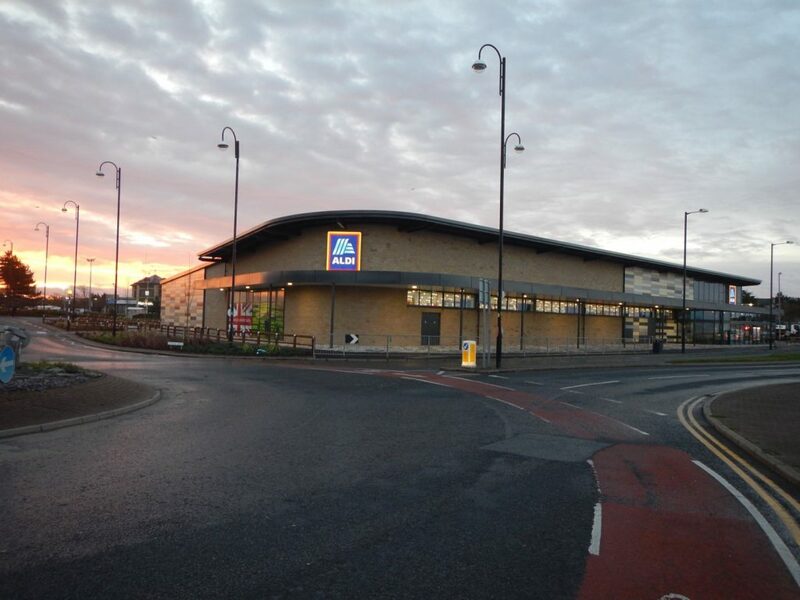 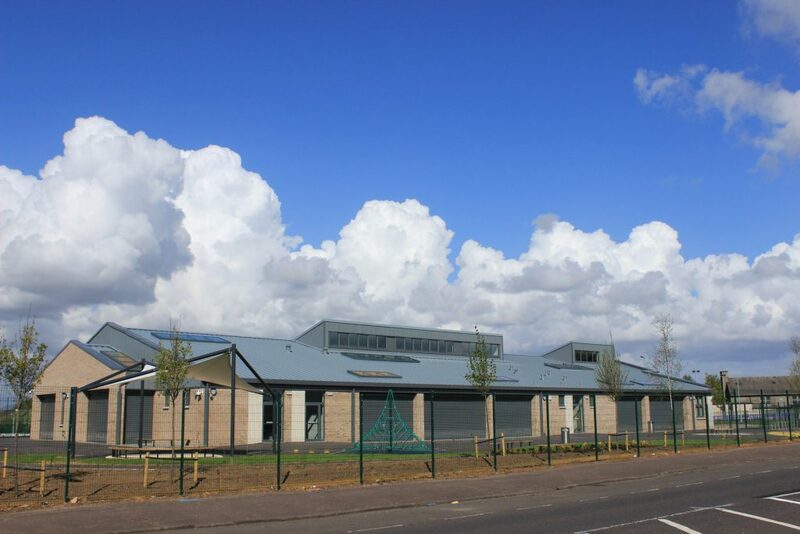 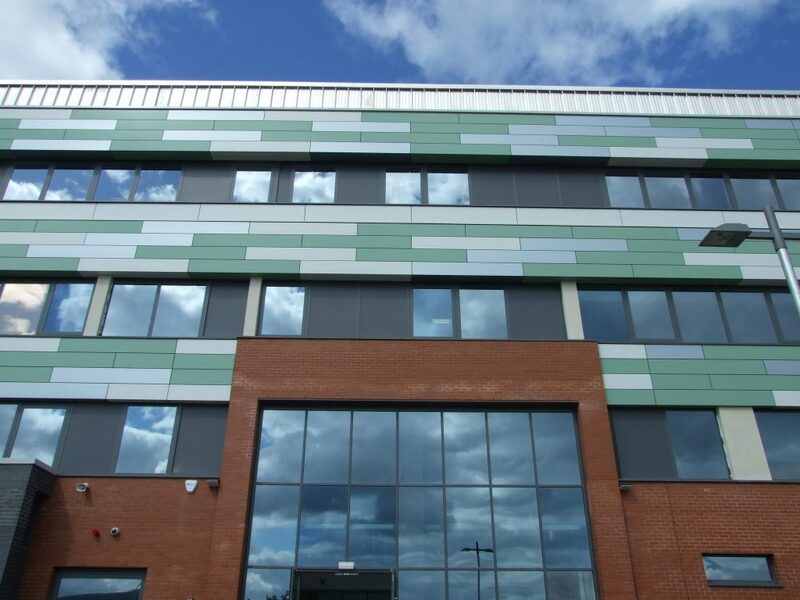 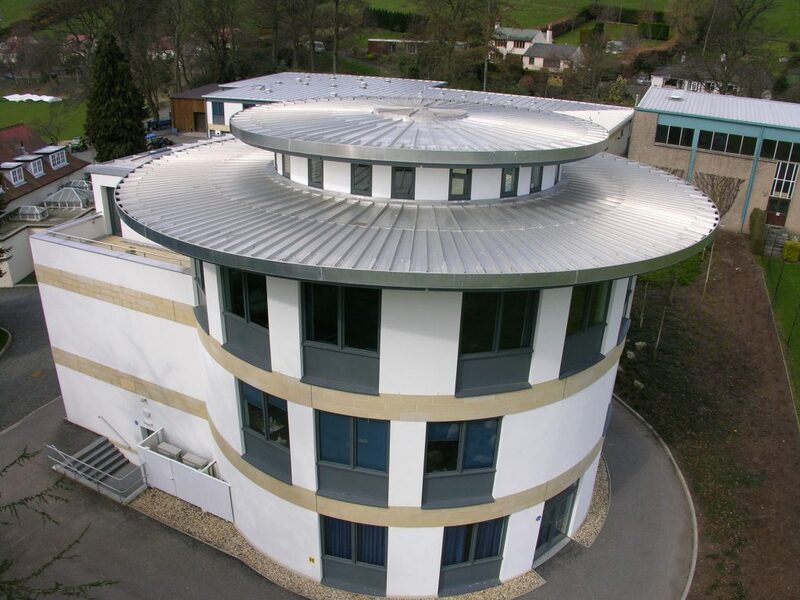 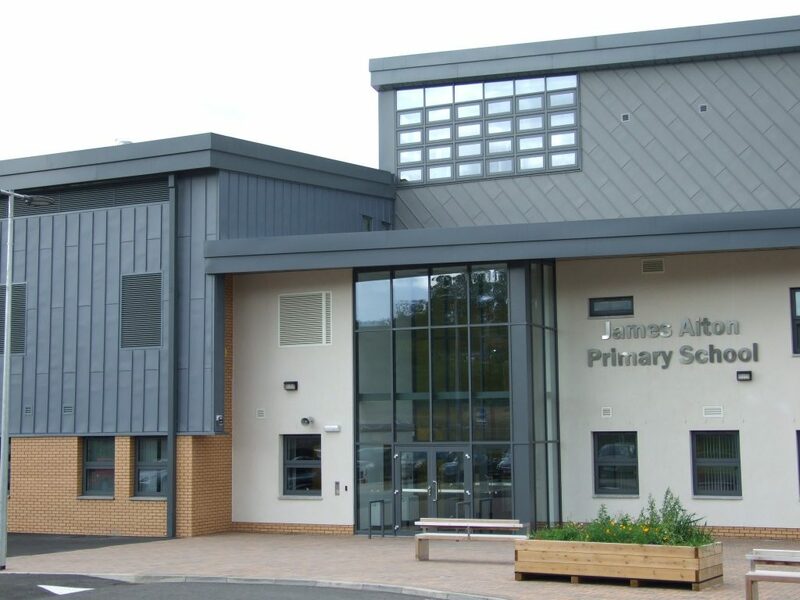 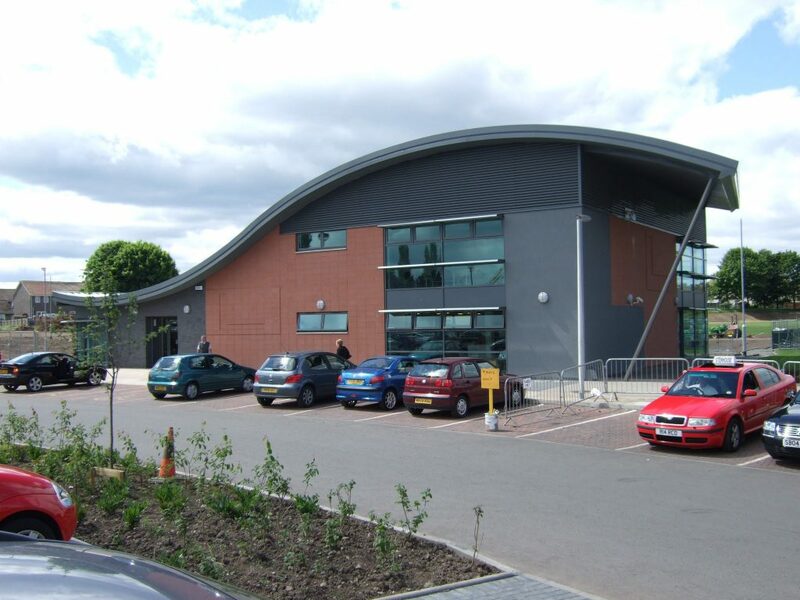 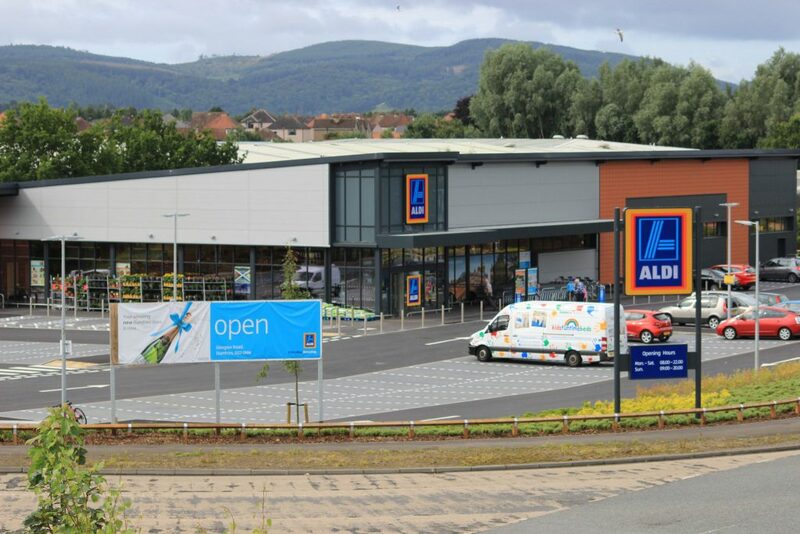 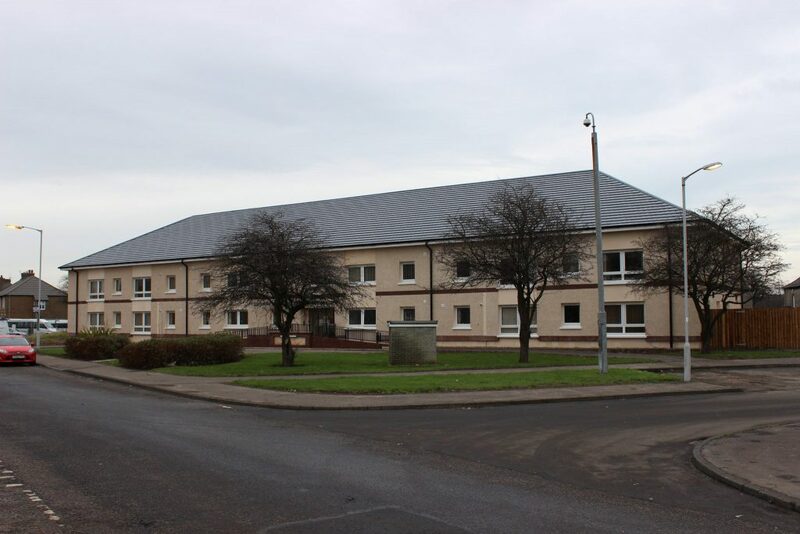 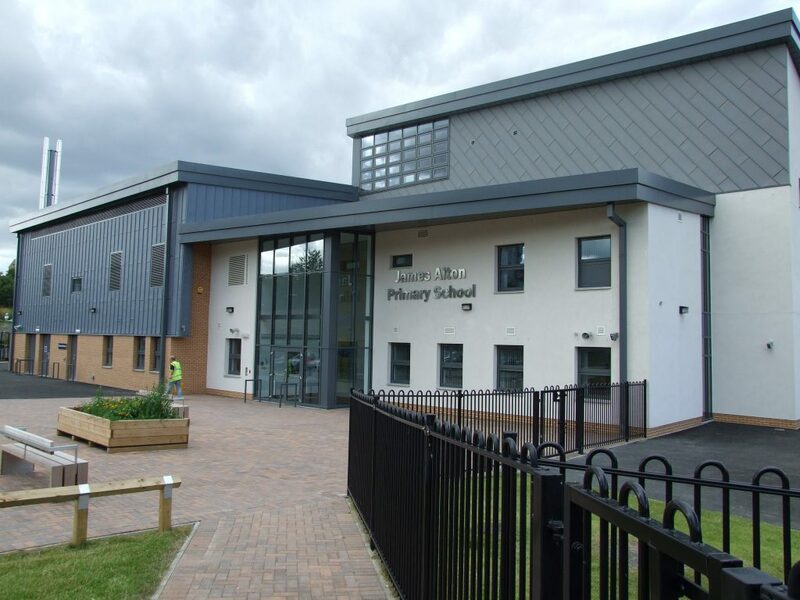 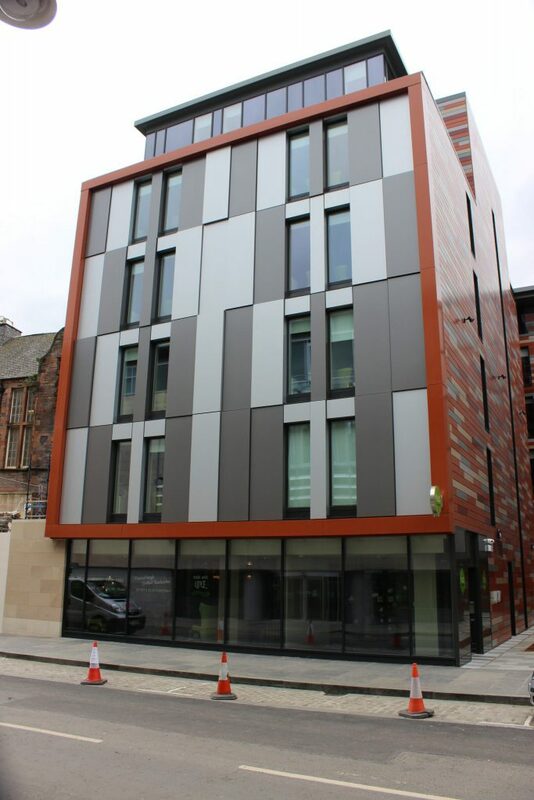 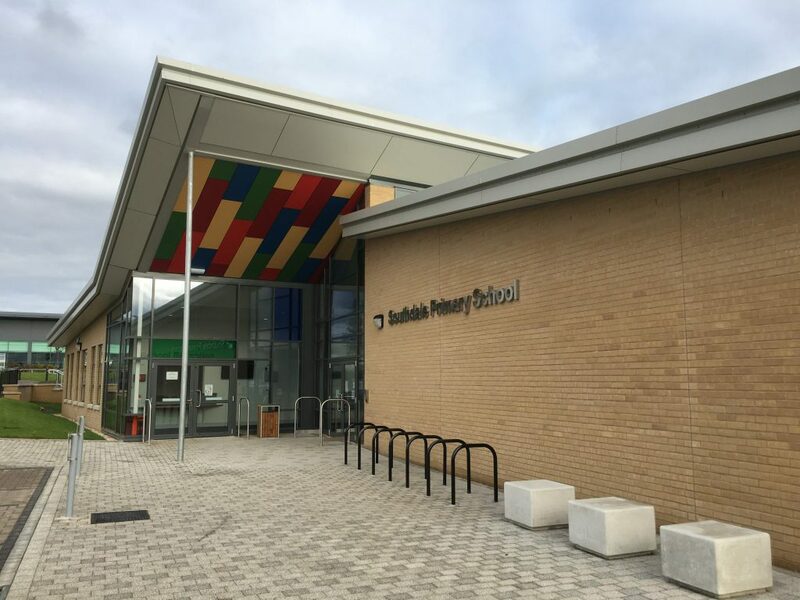 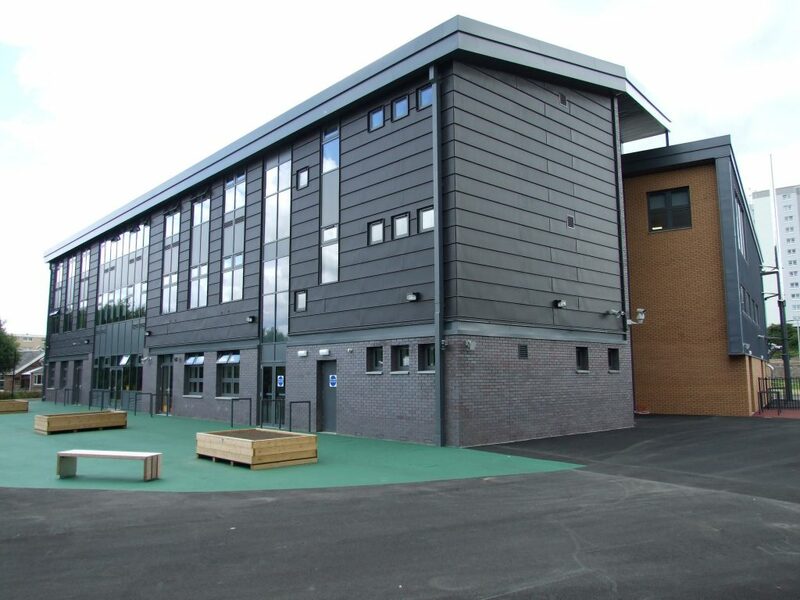 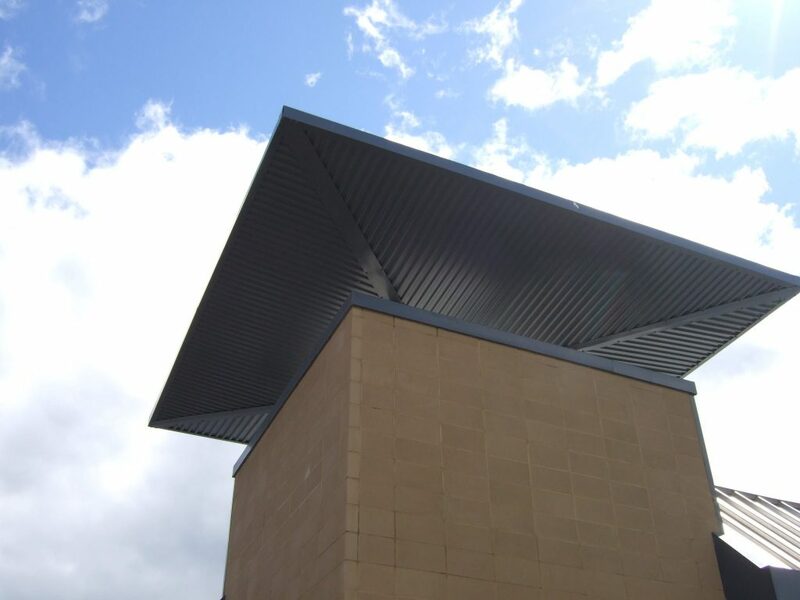 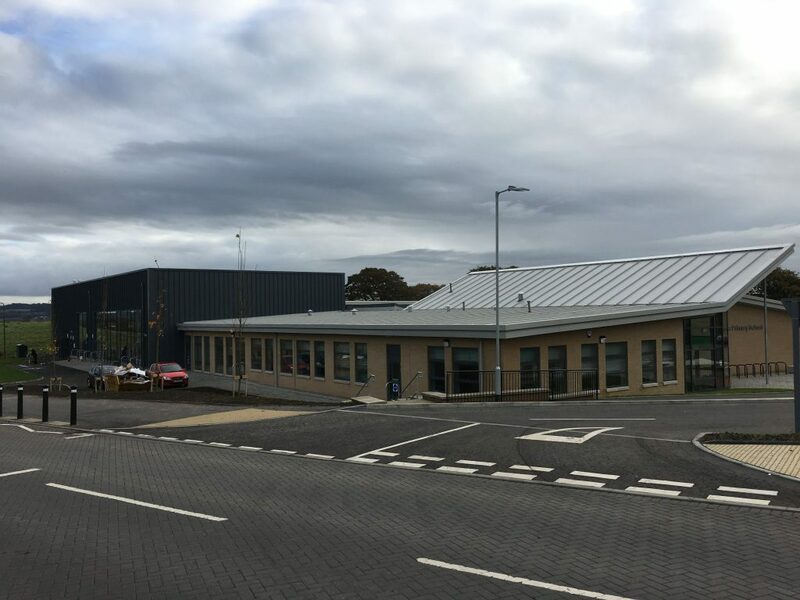 The AshFab range of specialist fabrications offers an extensive range of bespoke products from architectural features and bullnoses to louvres, flashings and rainwater management systems to complement the main building design. 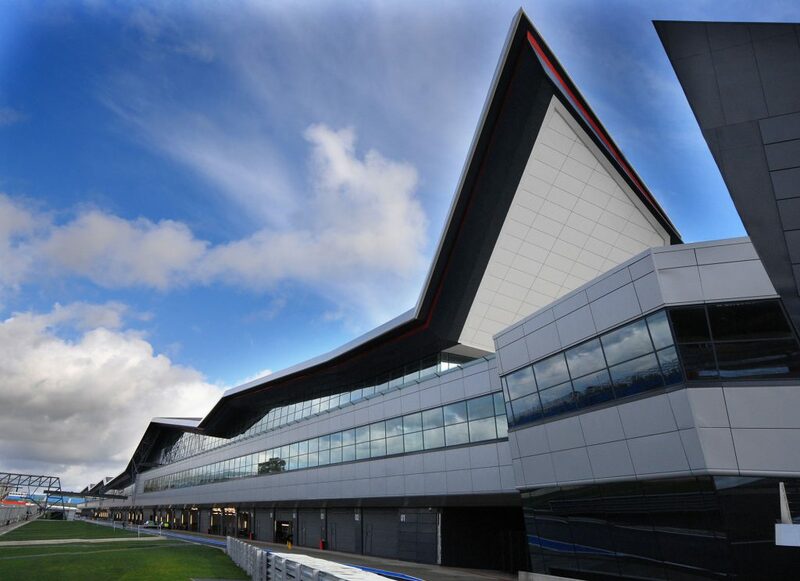 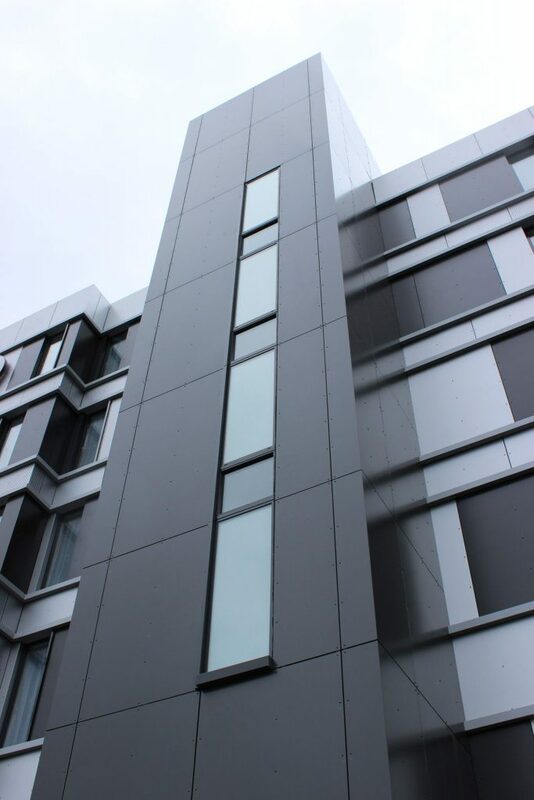 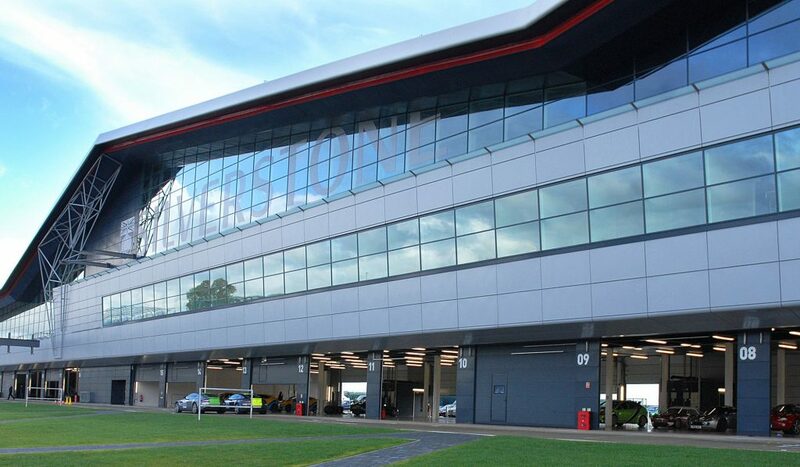 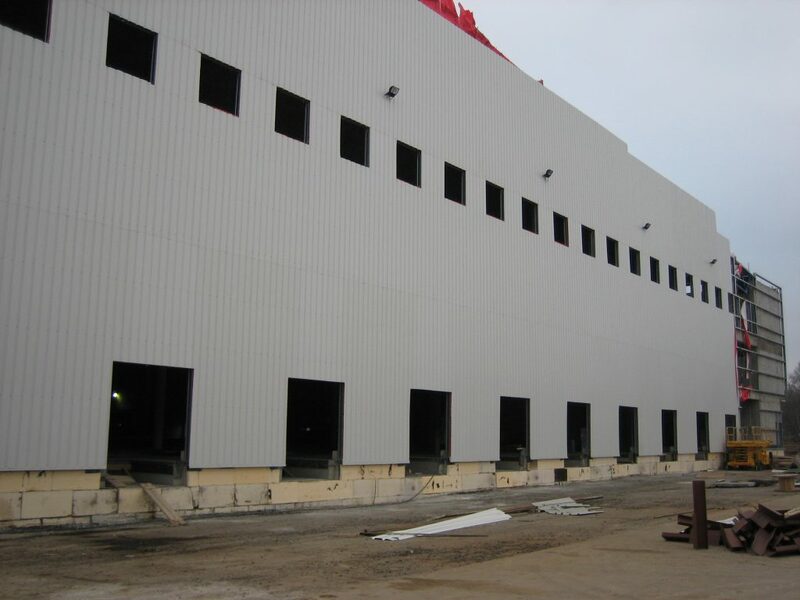 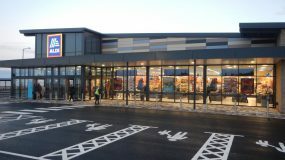 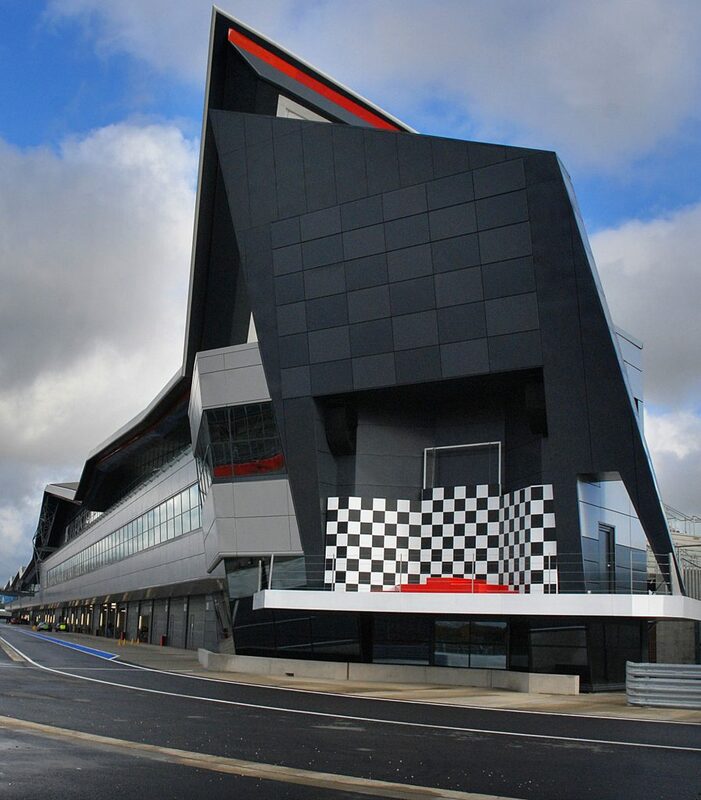 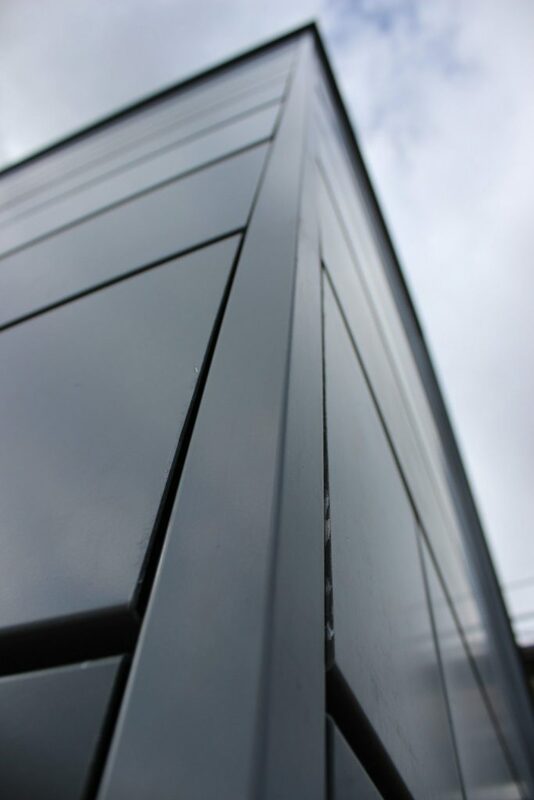 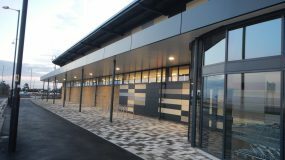 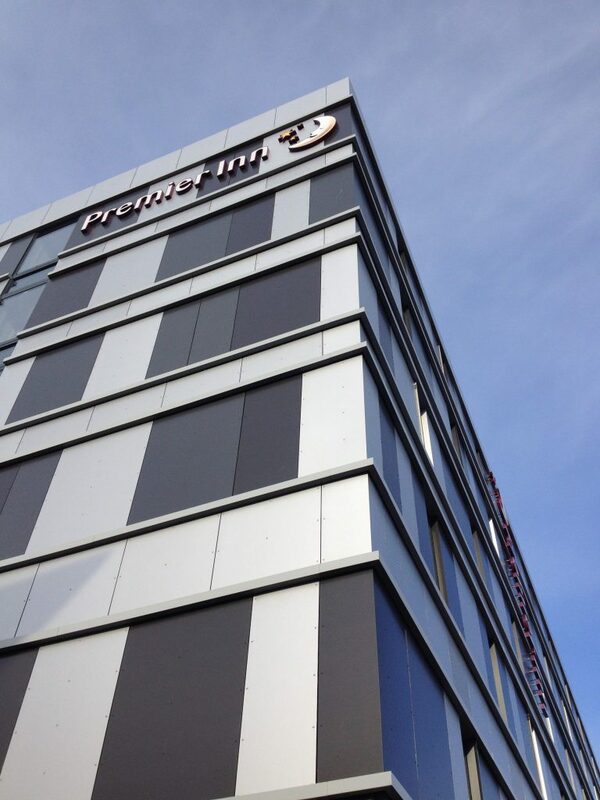 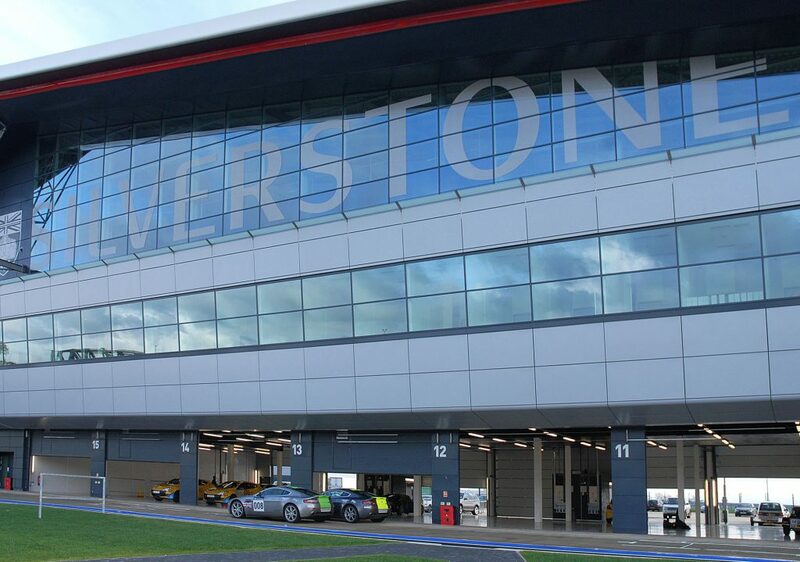 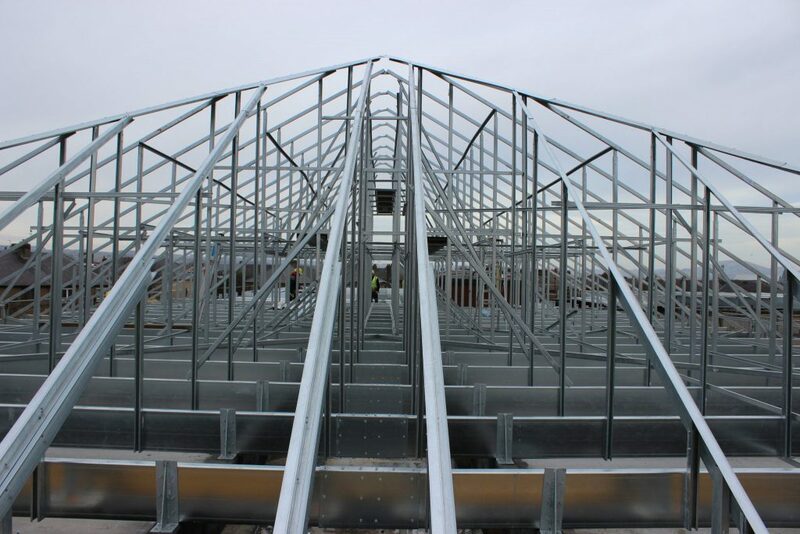 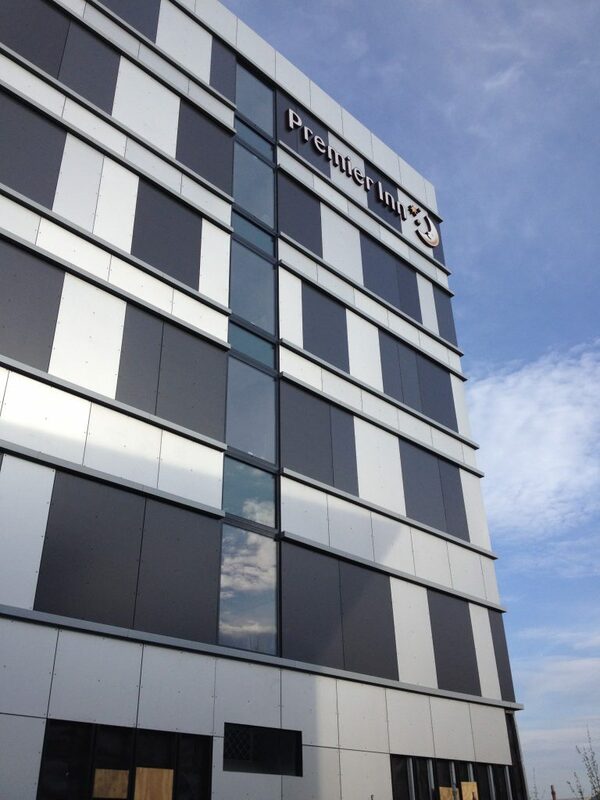 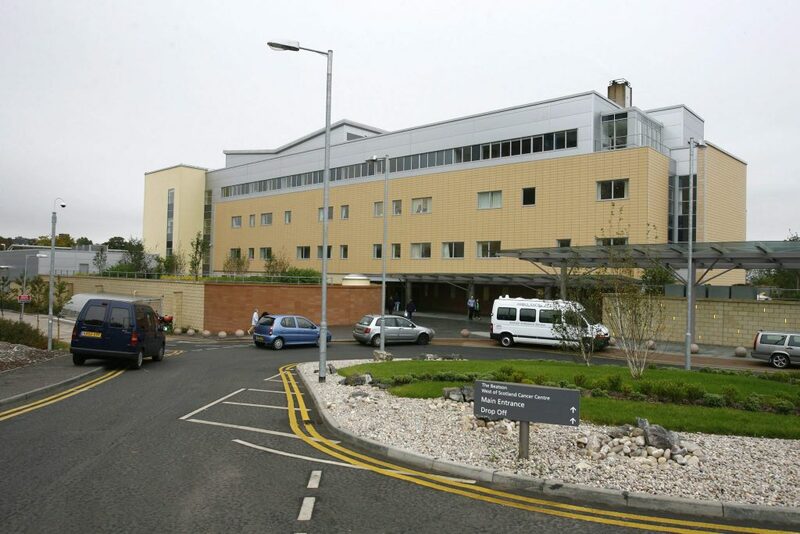 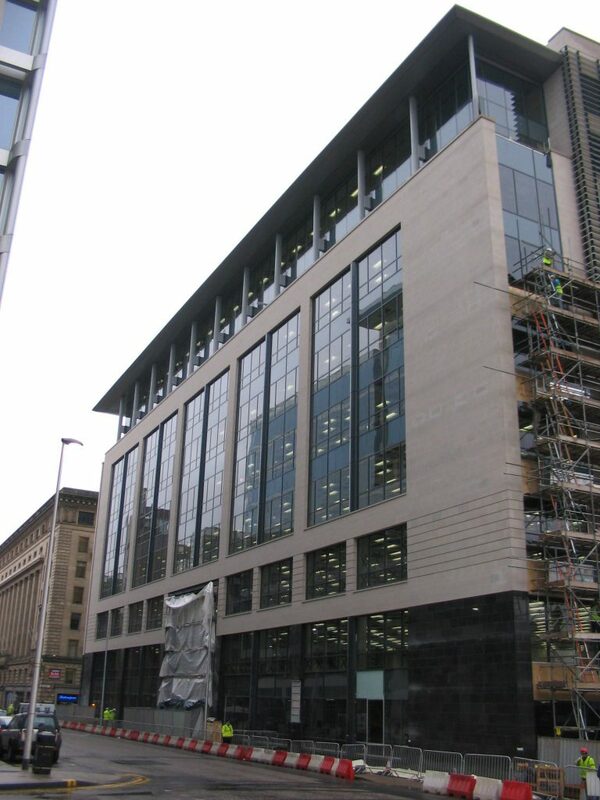 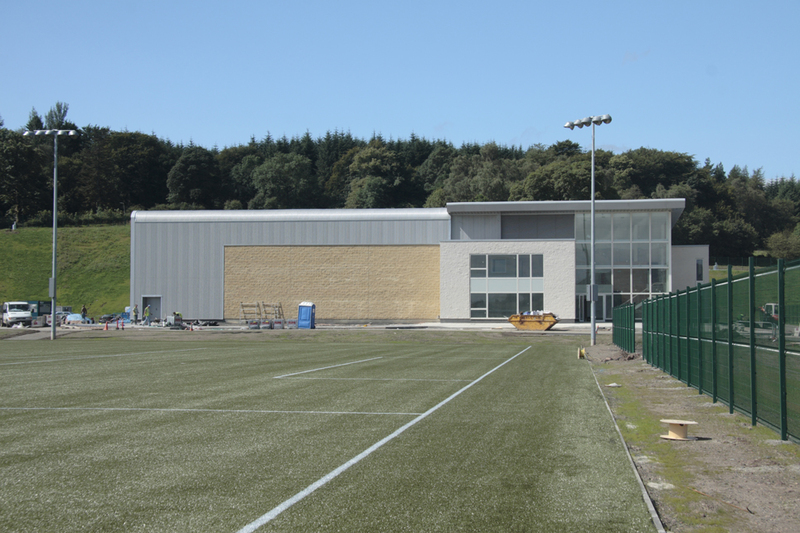 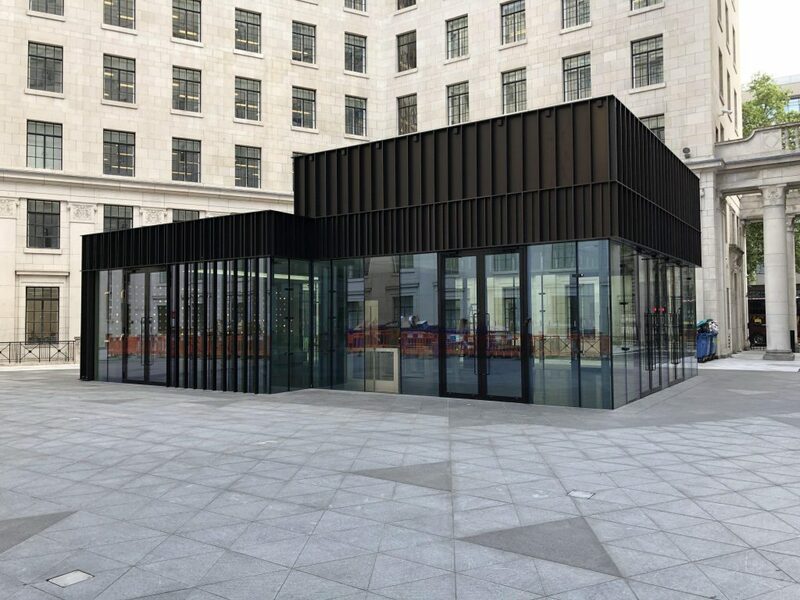 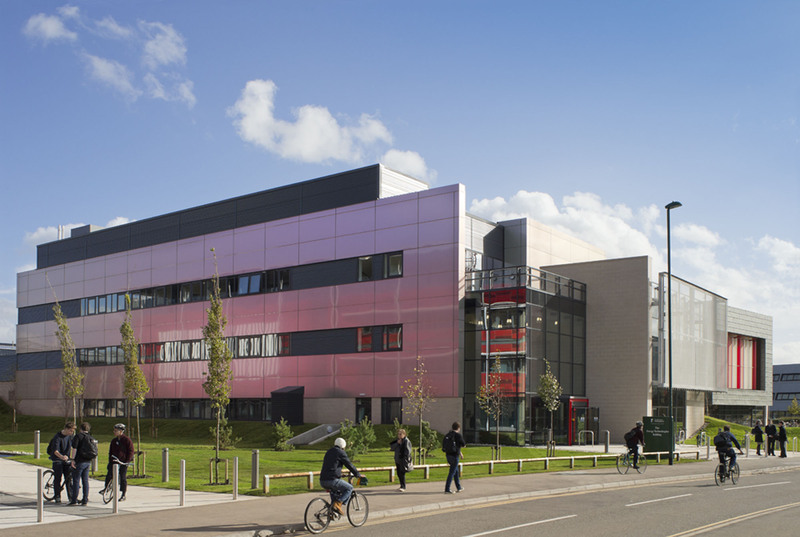 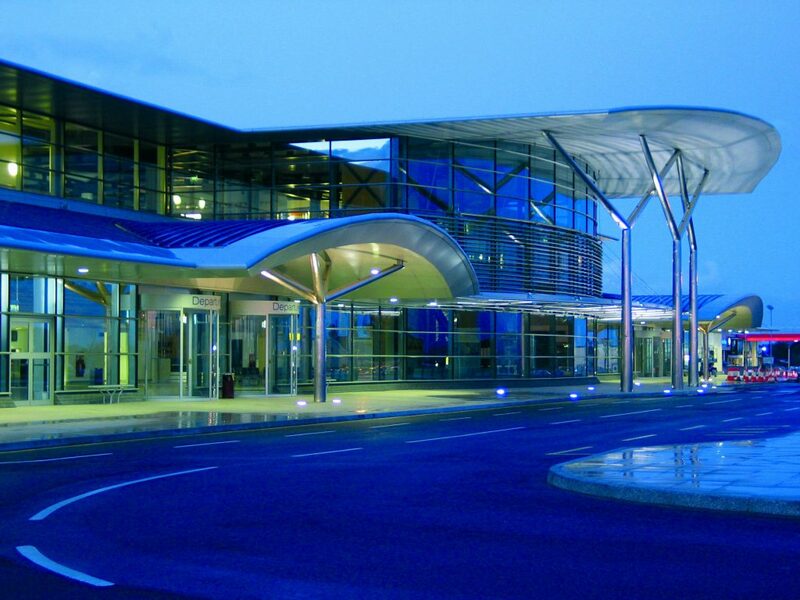 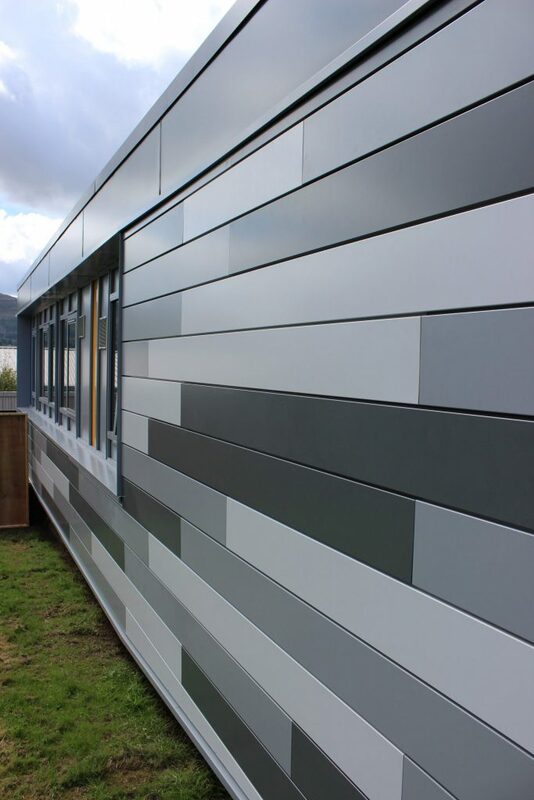 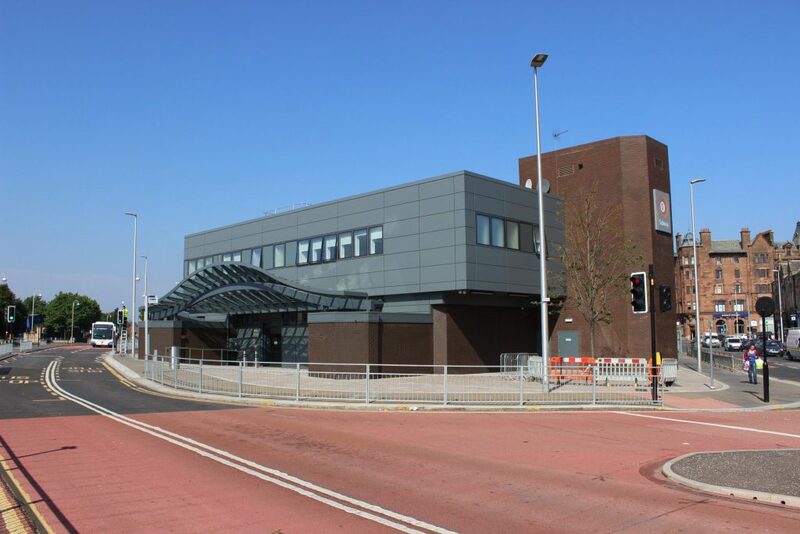 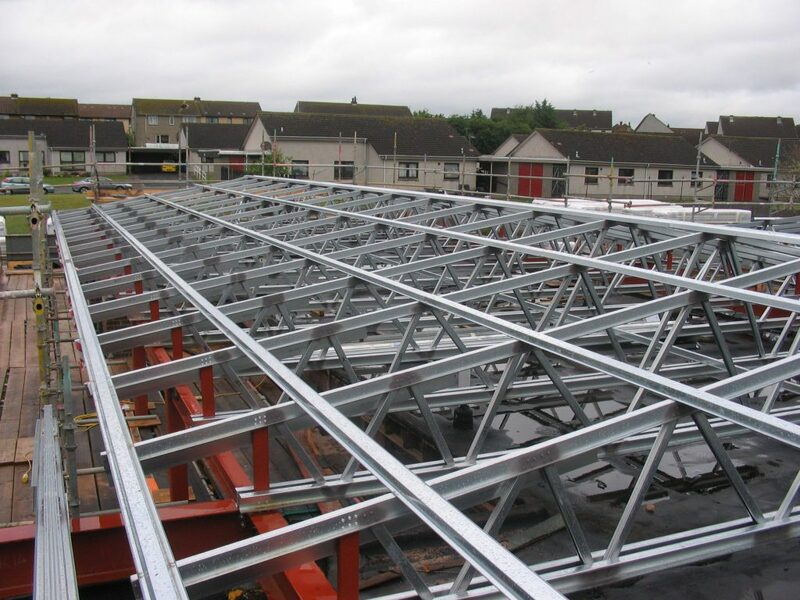 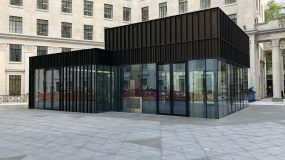 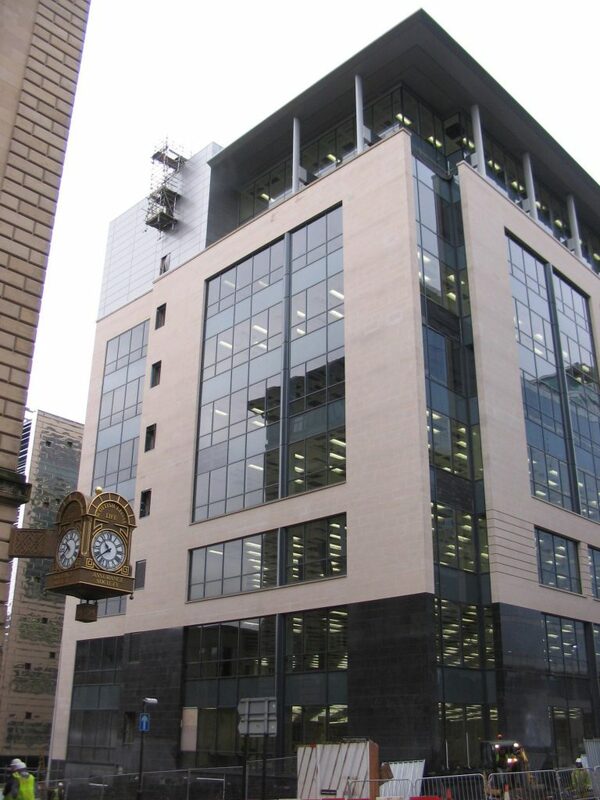 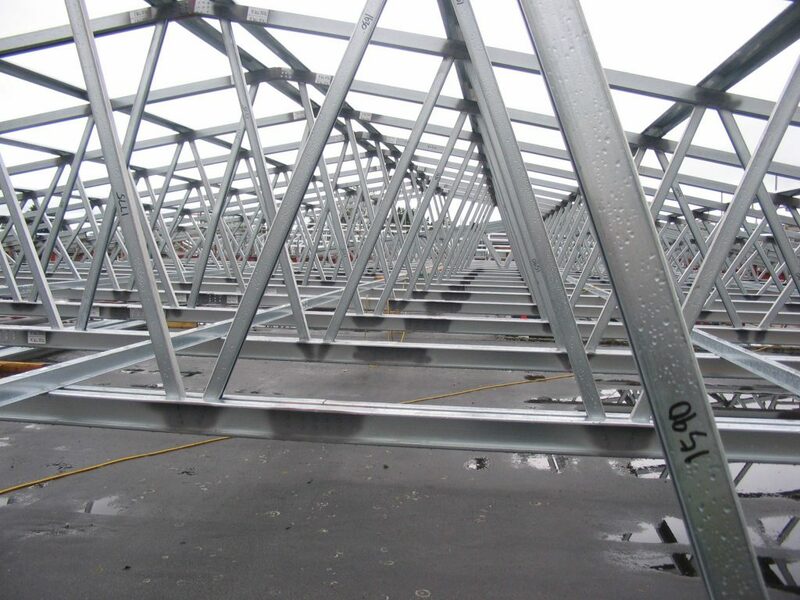 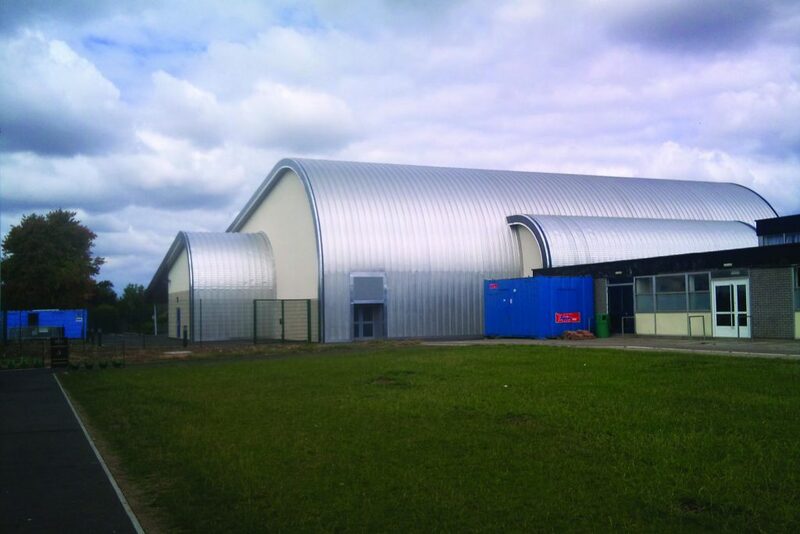 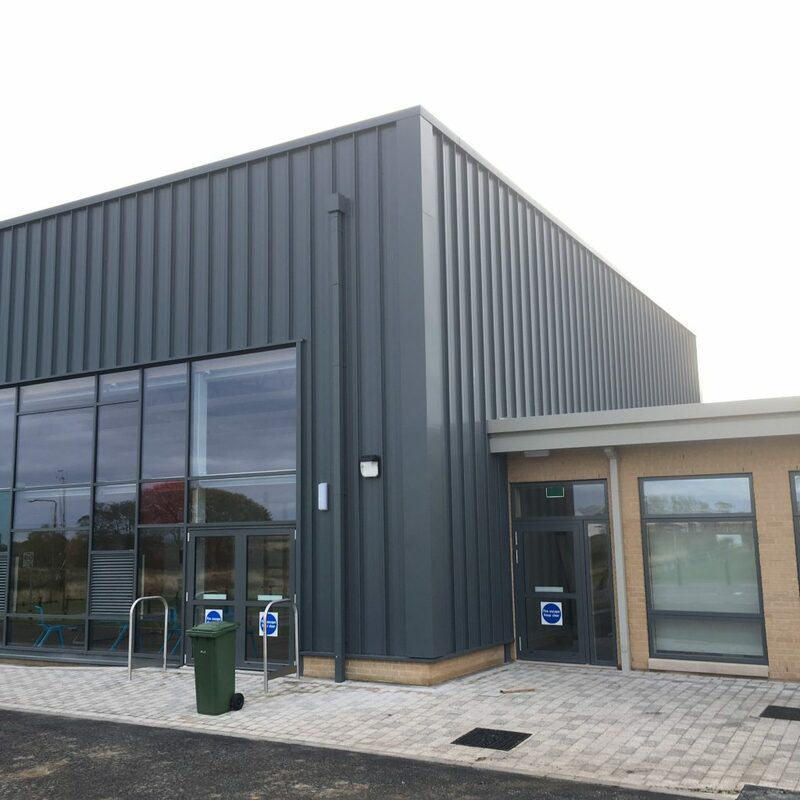 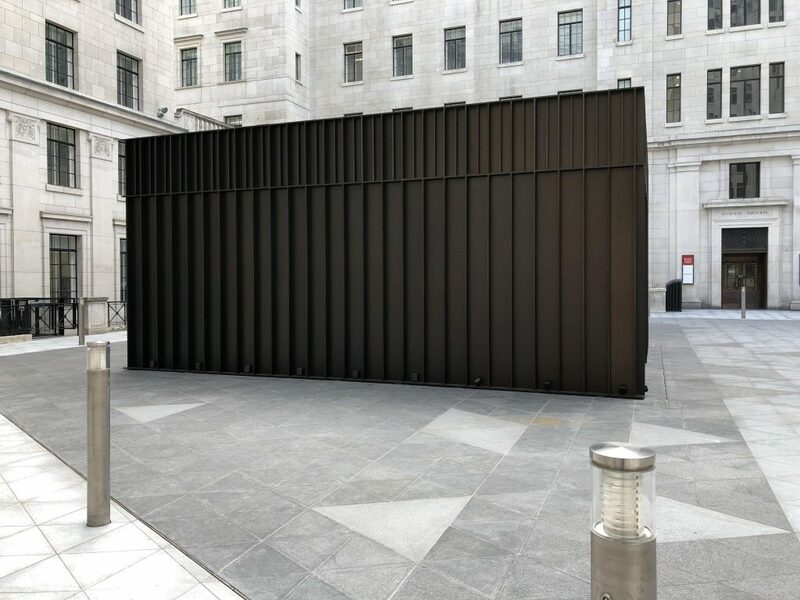 Produced by skilled fabricators and supported by a specialist design team standard and bespoke elements in coated steels, aluminium and ACM are available nationwide from three strategically positioned production facilities to ensure the fastest turnaround times possible. 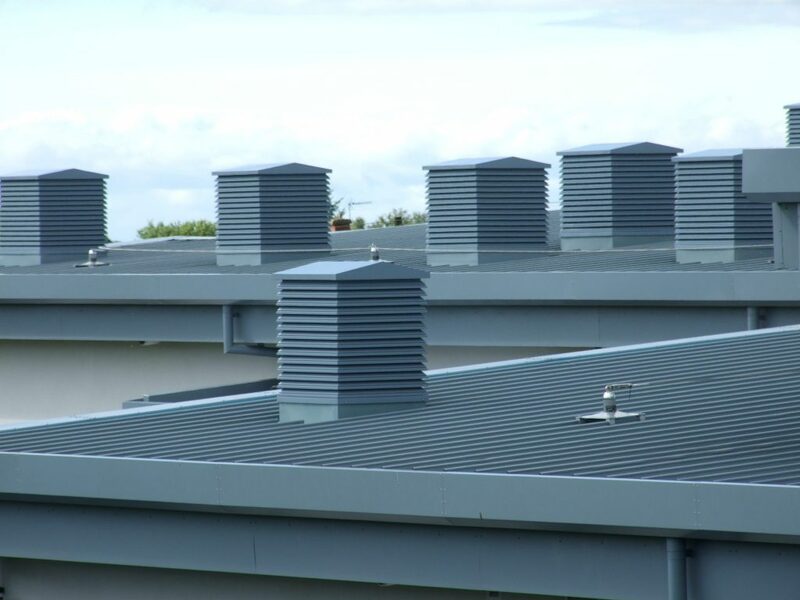 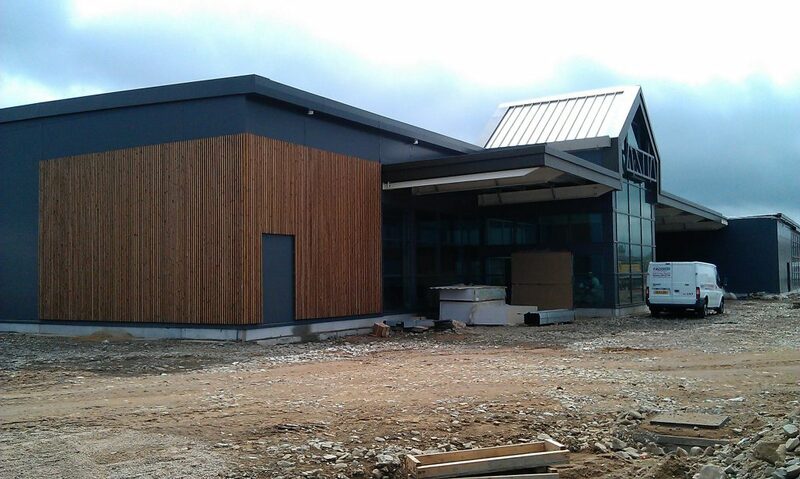 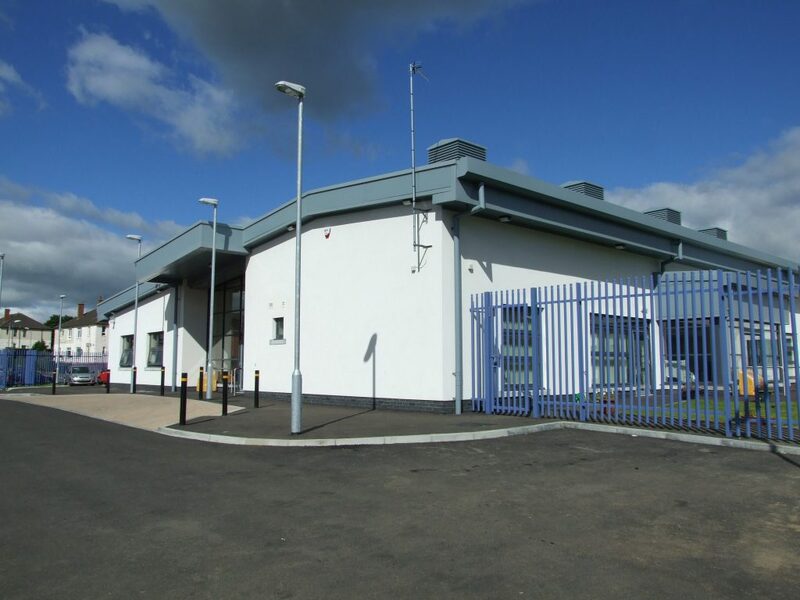 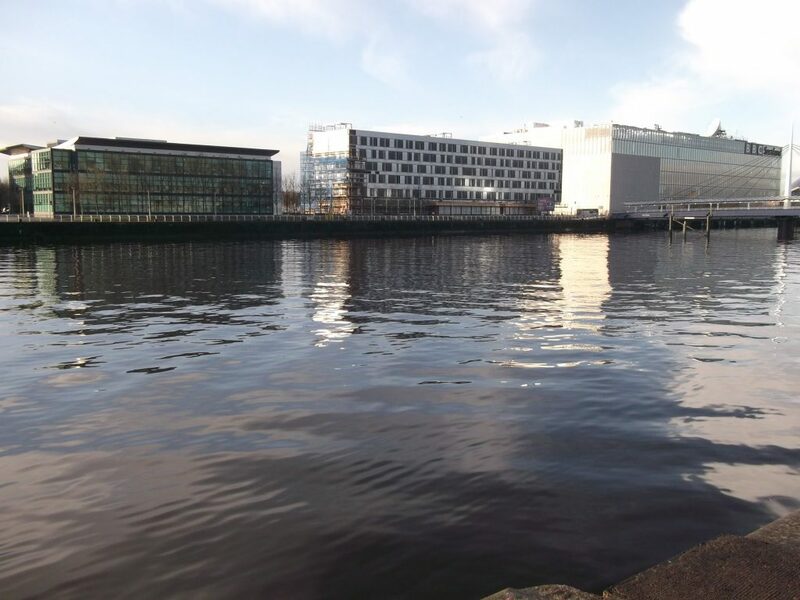 Effective rainwater management is vital to the success of any building. 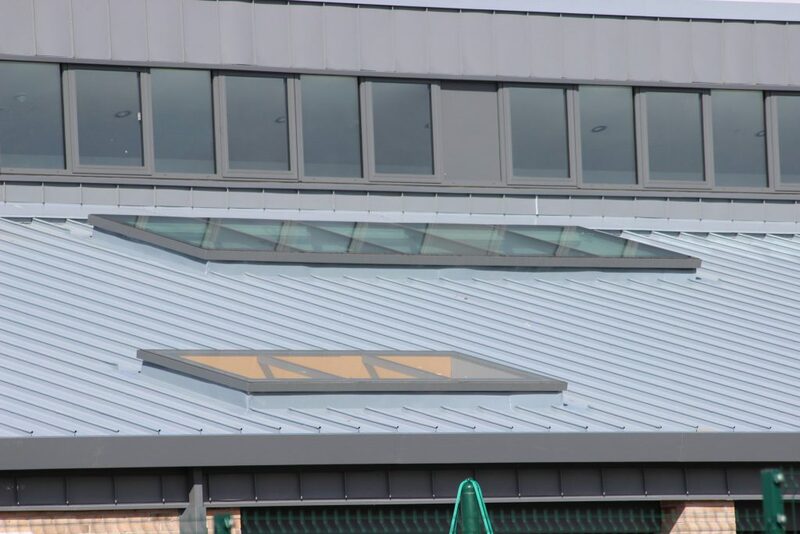 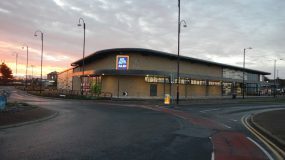 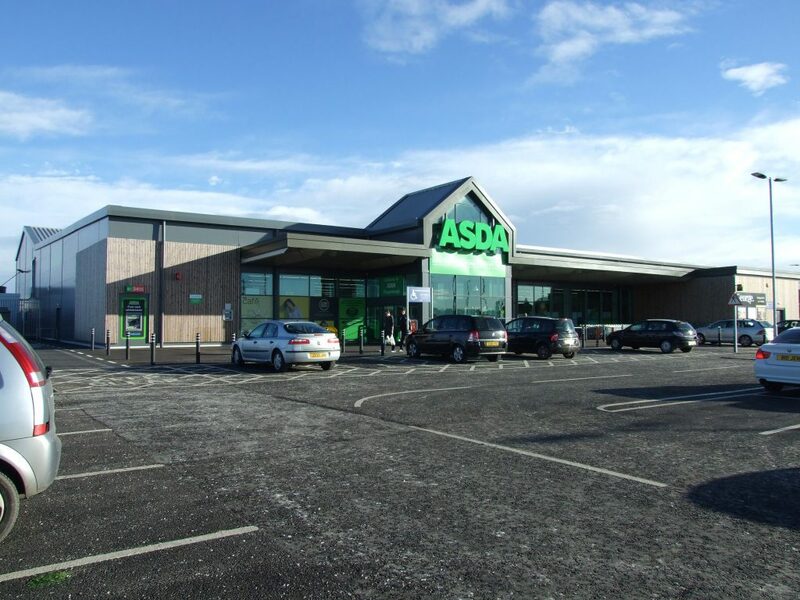 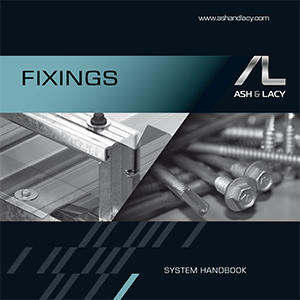 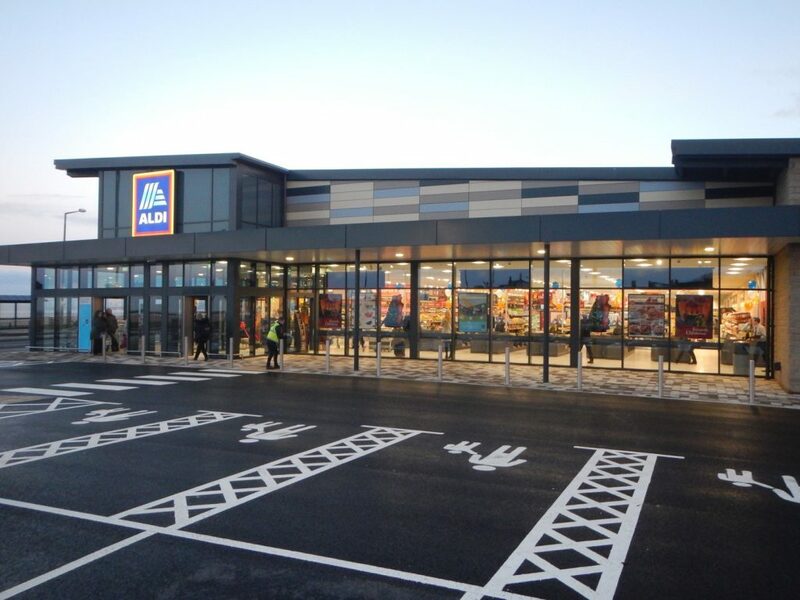 The AshFab division of Ash & Lacy has vast experience in the provision of gutter systems and related products and has a depth of expertise and range which few can rival. 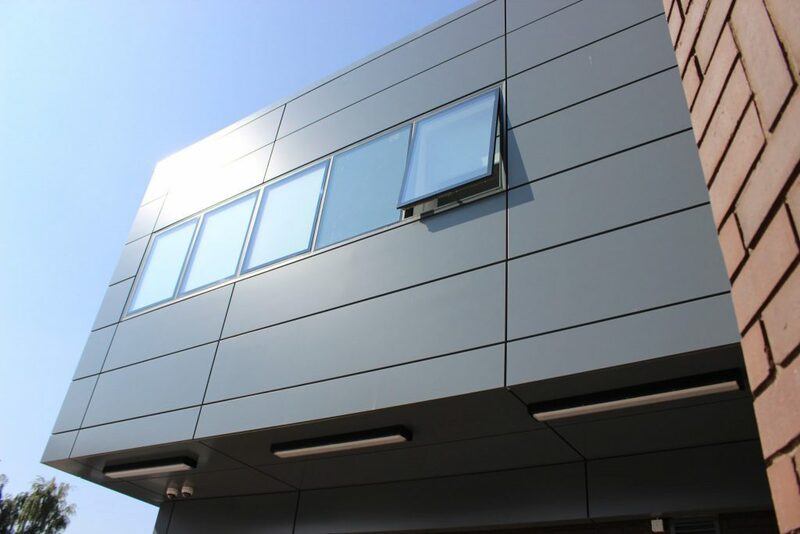 Our commitment to research and development, as well as our current intiatives into sustainable solutions such as rainwater harvesting, ensures the increasing efficiency of our systems to cope with a future in which ever more extreme climatic conditions can be expected. 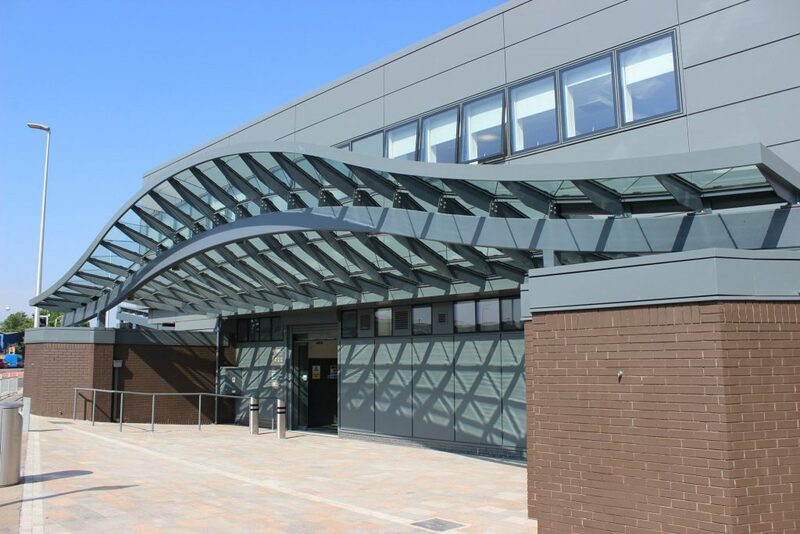 With many years fabrication experience, Ash & Lacy can offer bespoke guttering which is CNC precision engineered and produced by skilled fabricators to suit virtually any application, as well as an off-the-shelf range which has been created for quality and versatility. 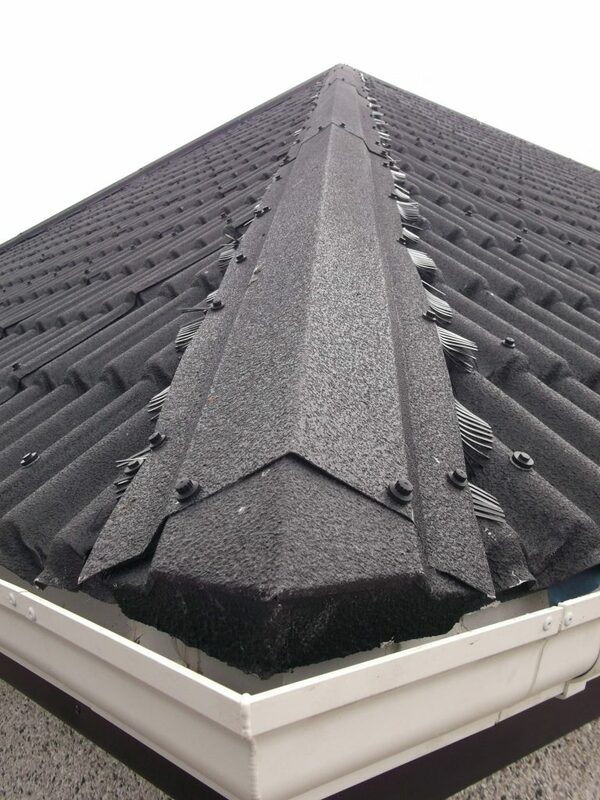 A number of refurbishment solutions are also available which can add decades to the life of the gutter system. 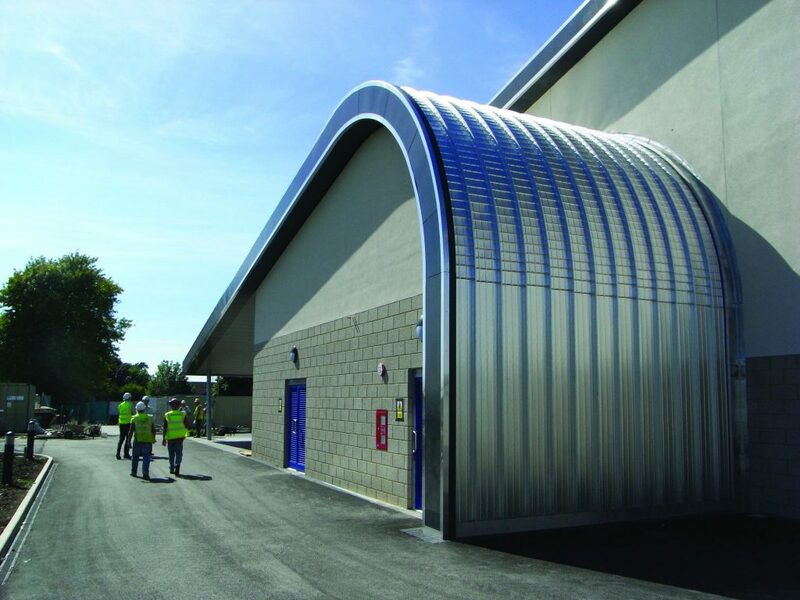 With technical advice and CAD design readily available from our support team, AshFlow is dedicated to ensuring our customers achieve maximum satisfaction and performance from our gutter systems. 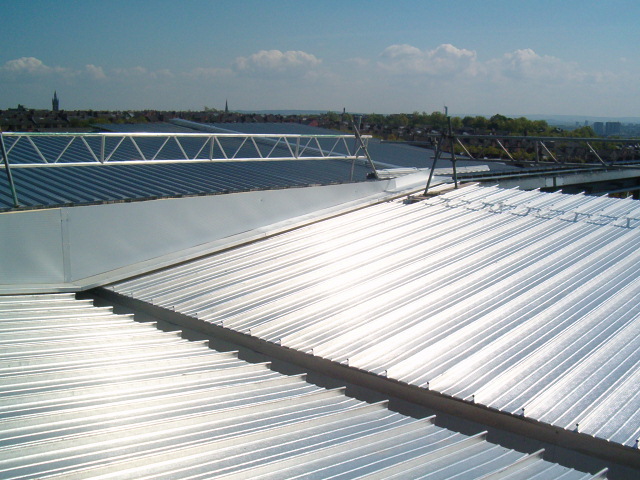 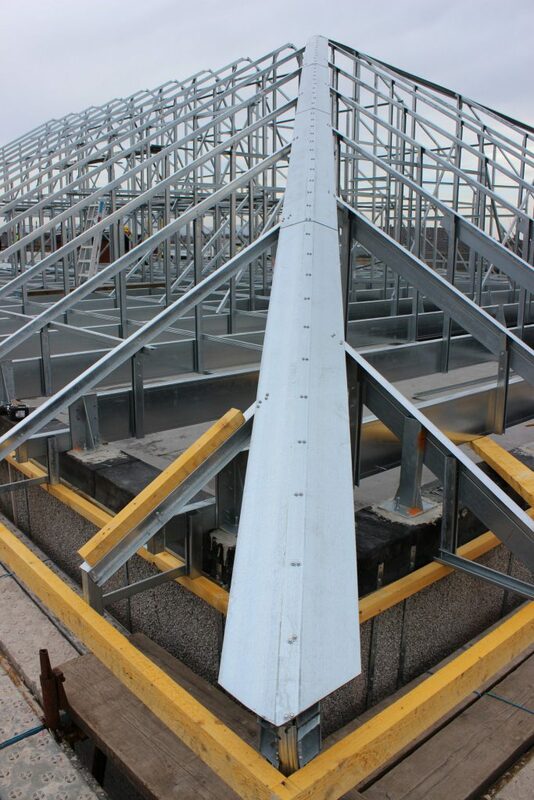 Ash & Lacy is an active member of The Metal Gutter Manufacturers Association. 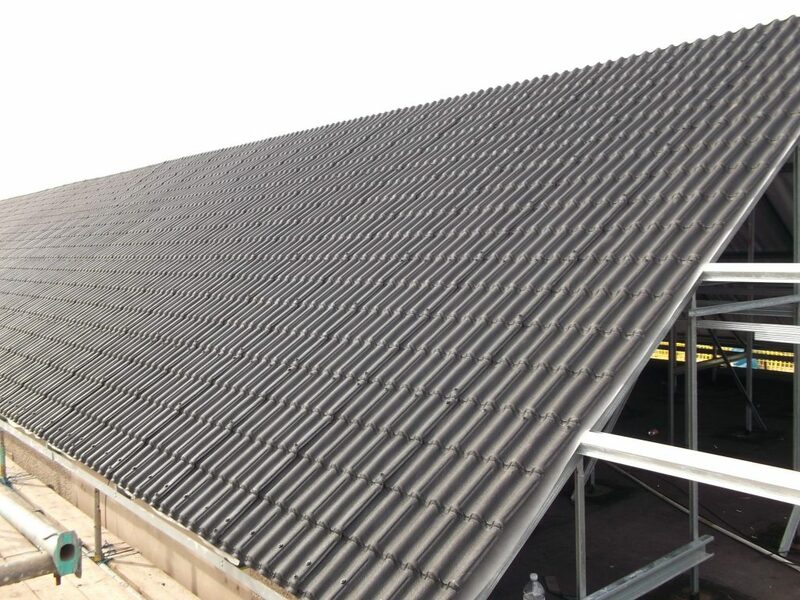 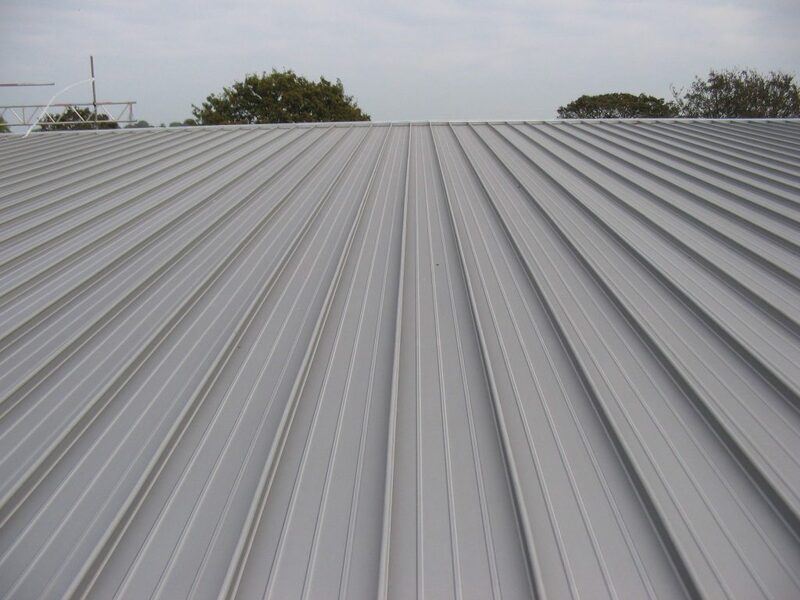 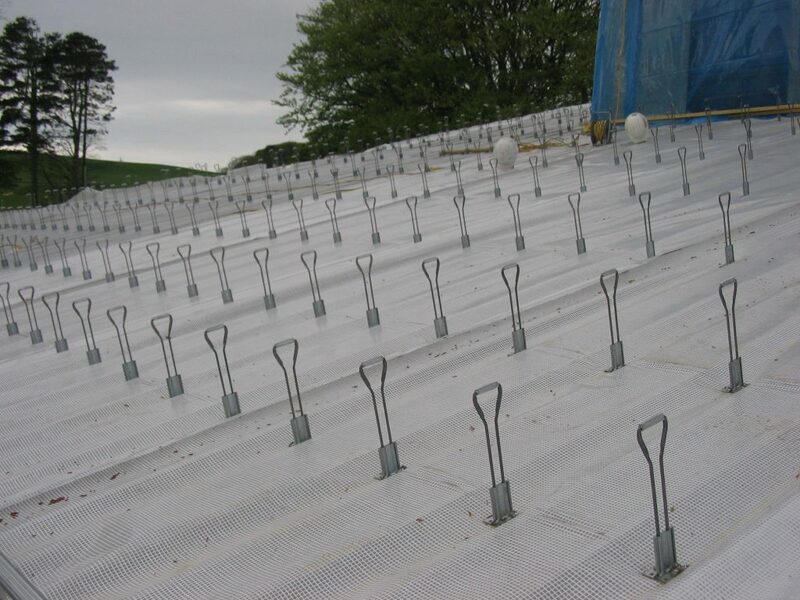 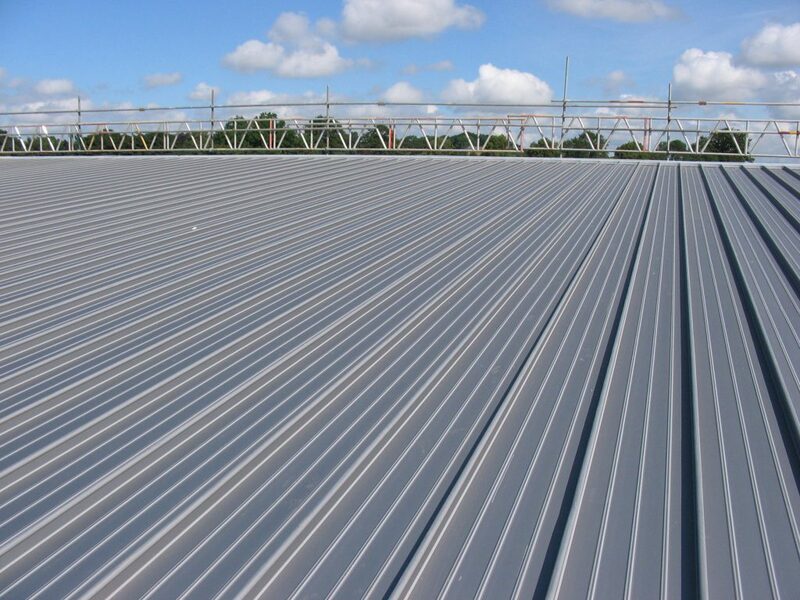 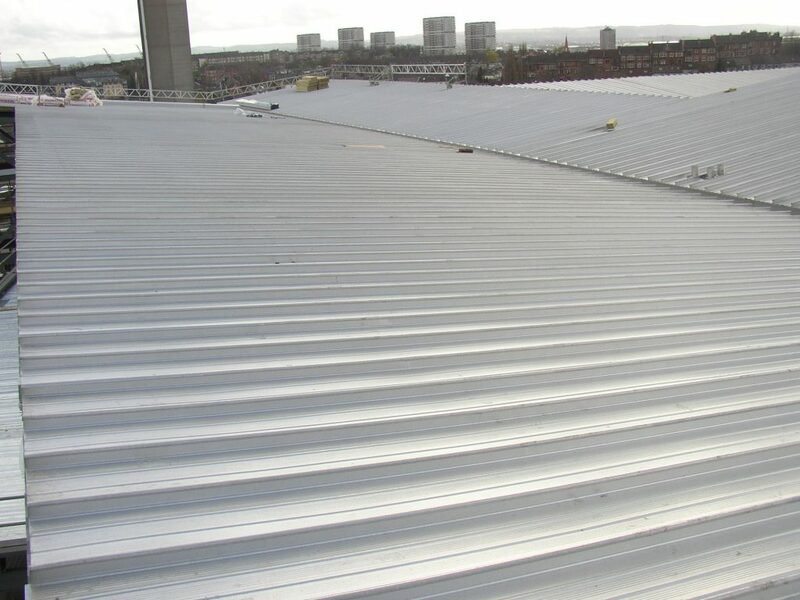 The MGMA seeks to foster and take part in research and all forms of technical development in relation to metal gutters and to encourage the best methods of their production and use within the construction and allied industries.